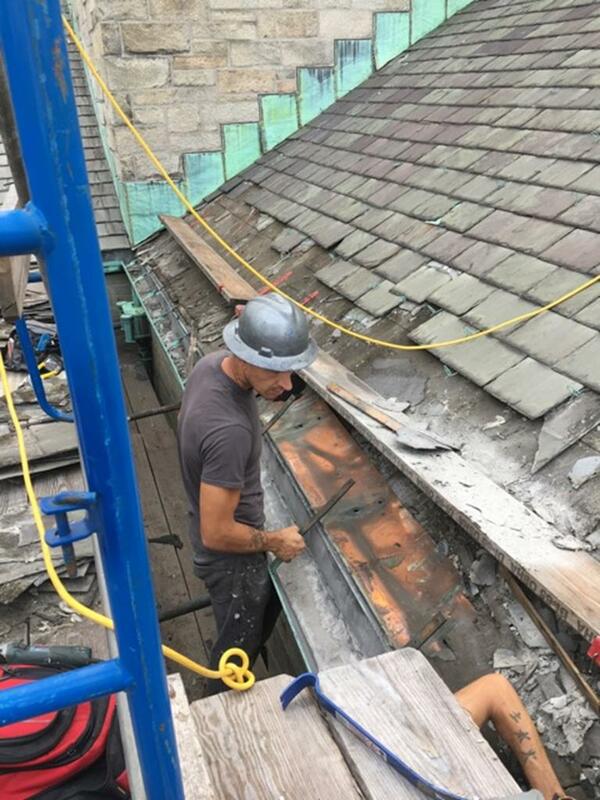 Men at work on the church roof during summer 2017. 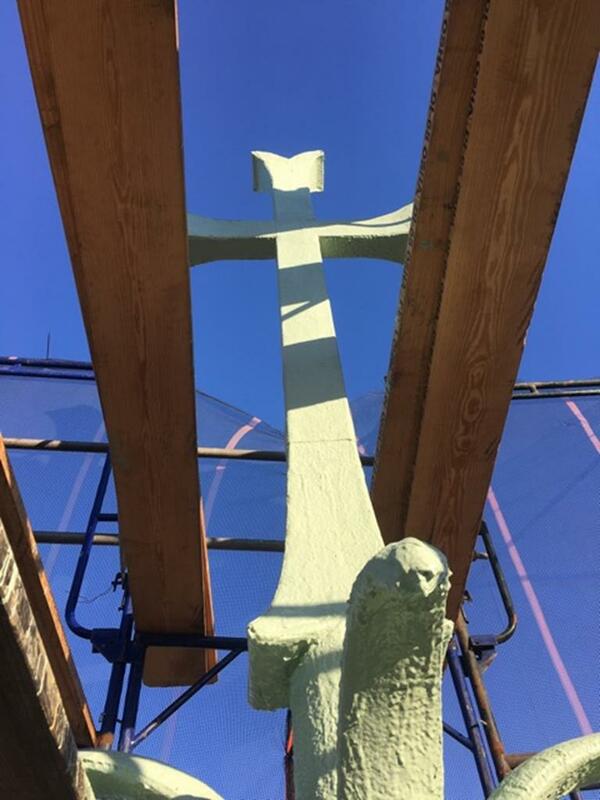 Photo by Denise De Maria. 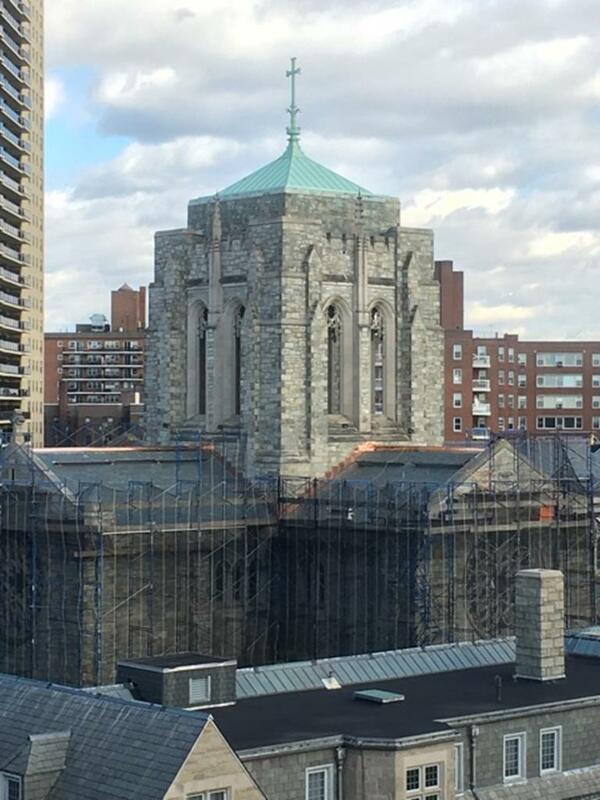 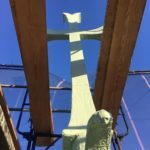 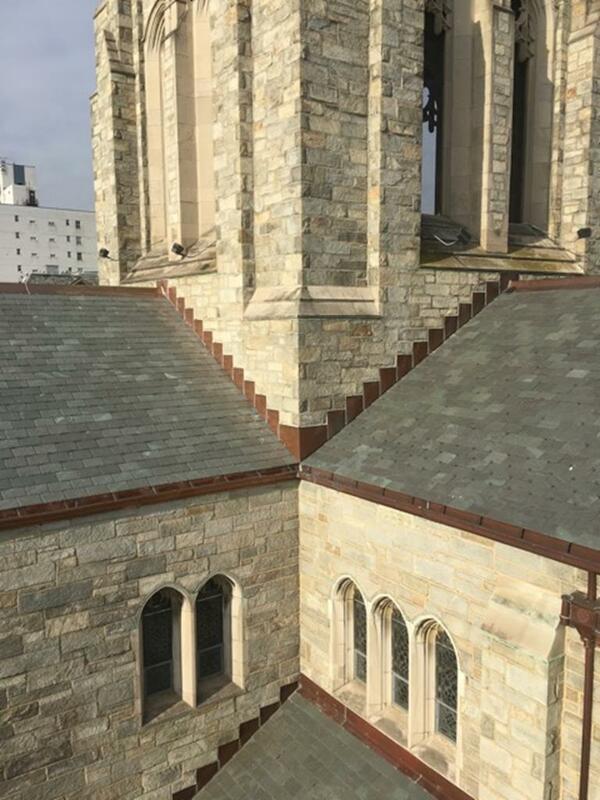 A most recognizable feature of our church building is the bell tower, designed in the neo-Gothic style and crowned with a cross on a pyramidal copper roof. 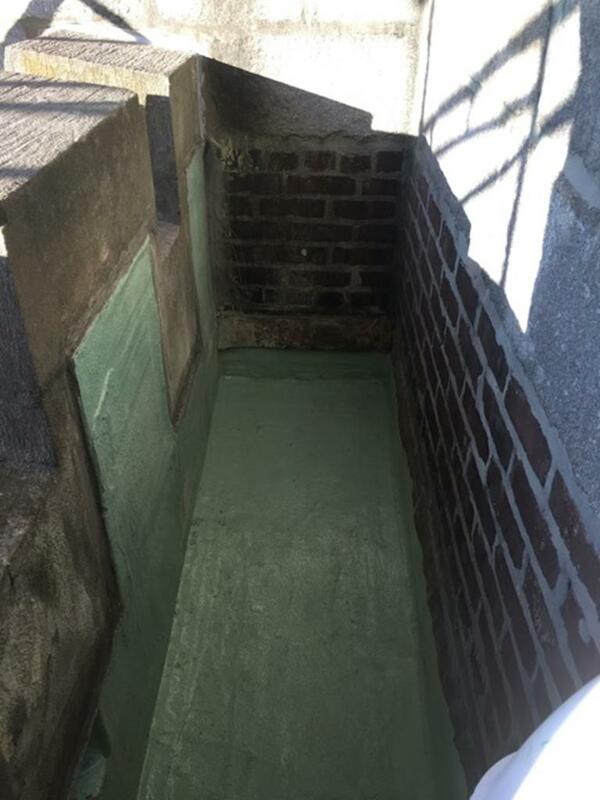 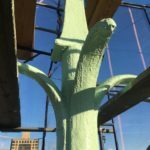 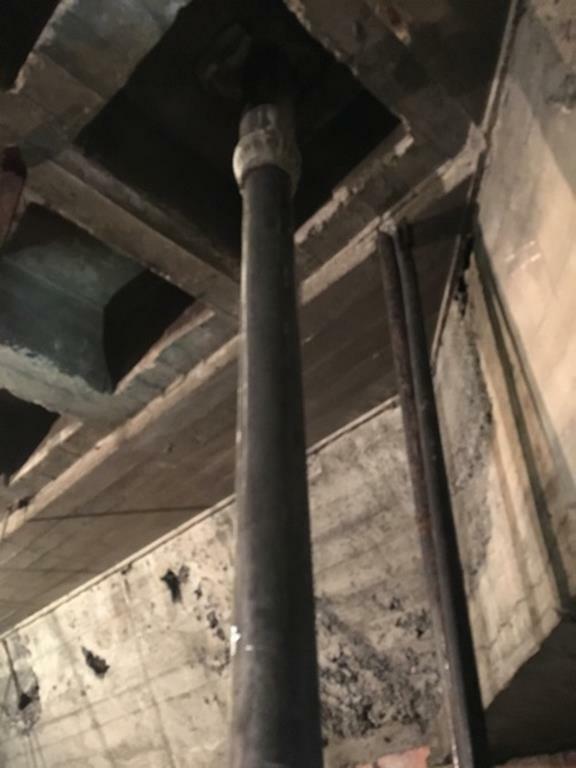 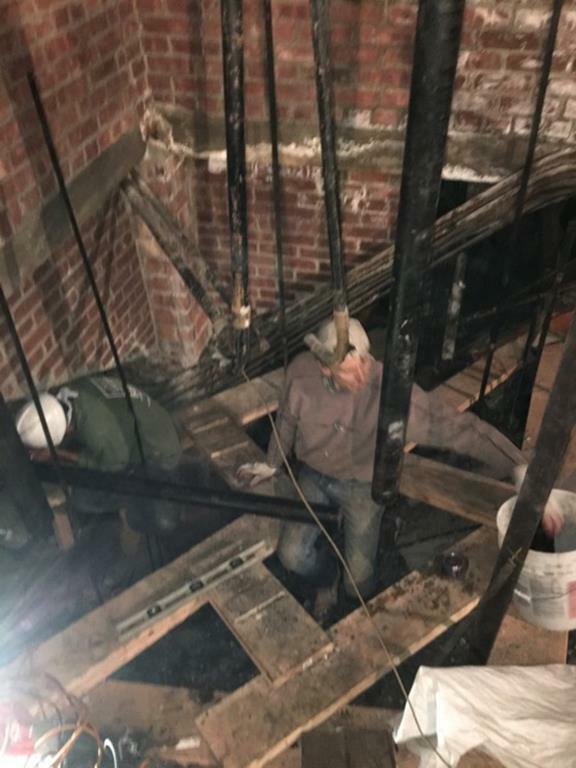 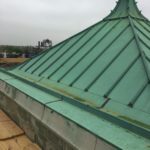 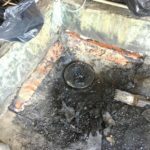 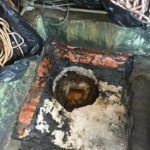 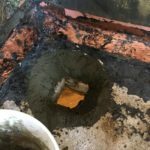 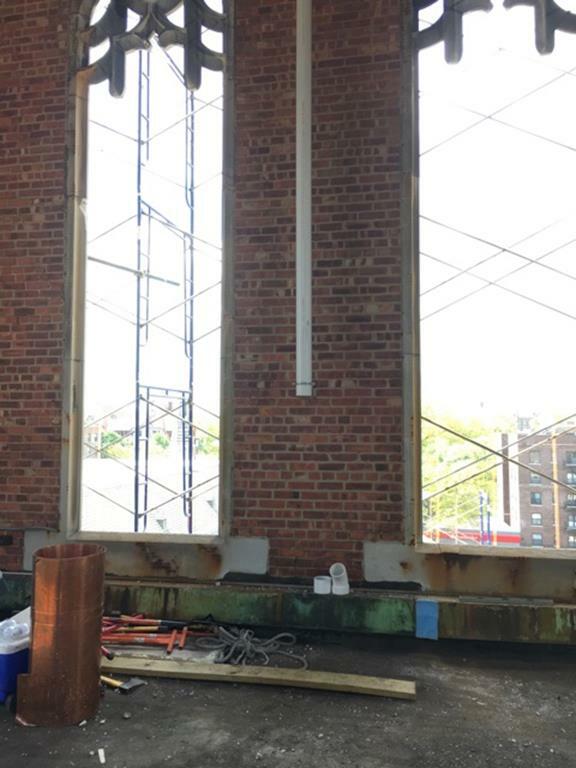 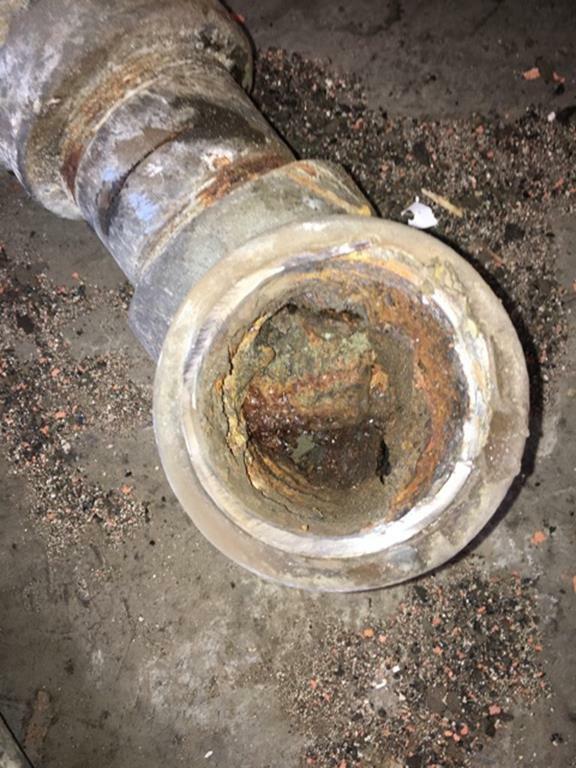 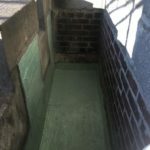 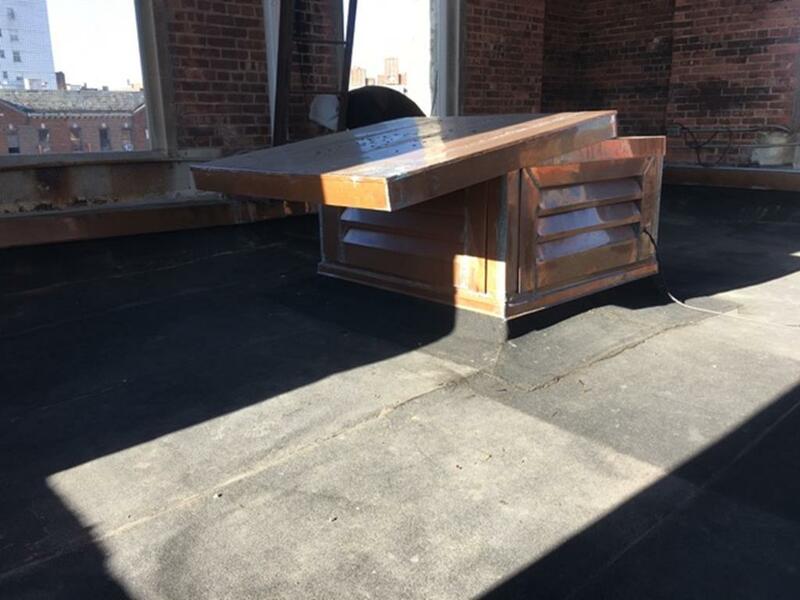 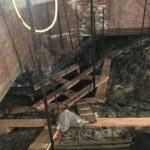 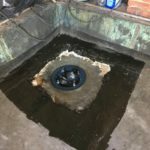 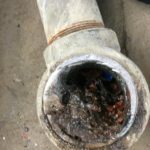 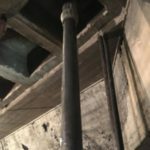 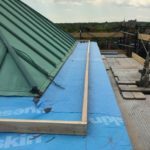 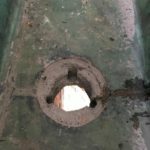 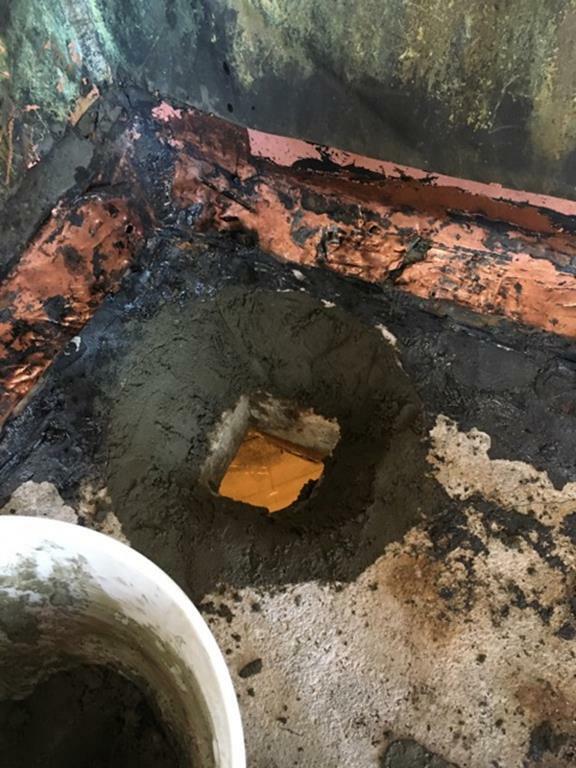 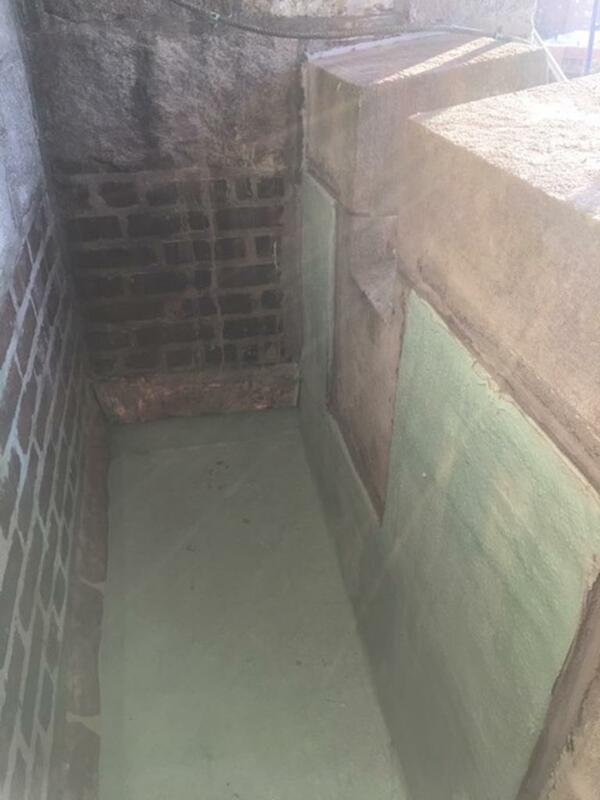 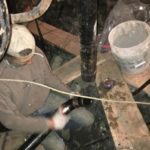 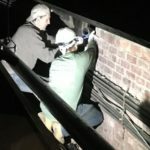 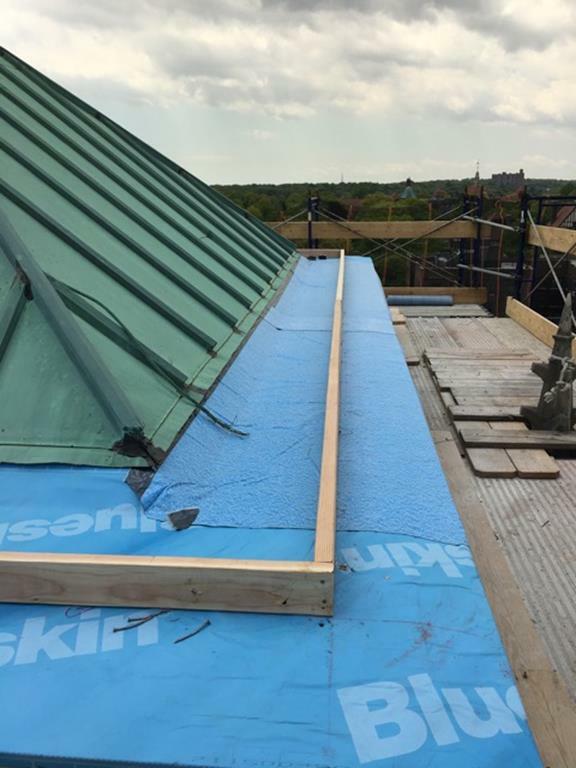 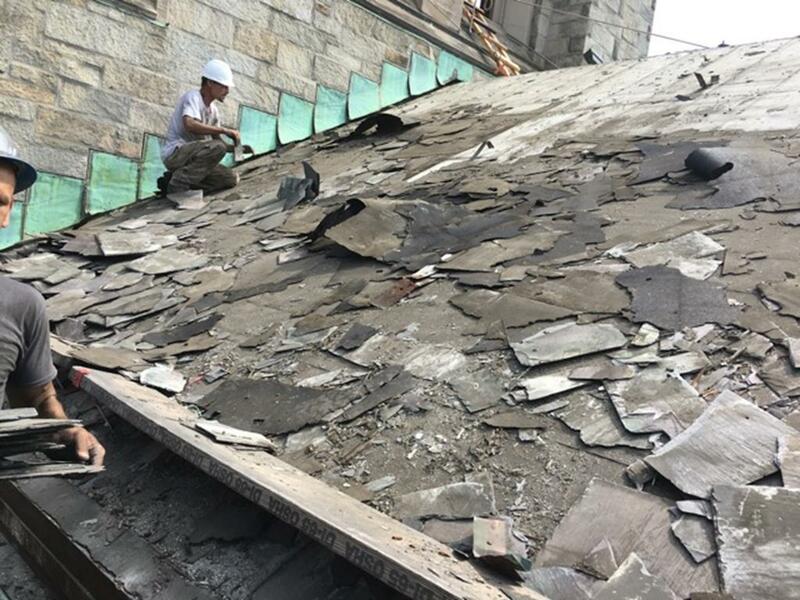 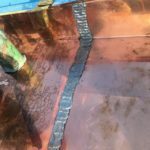 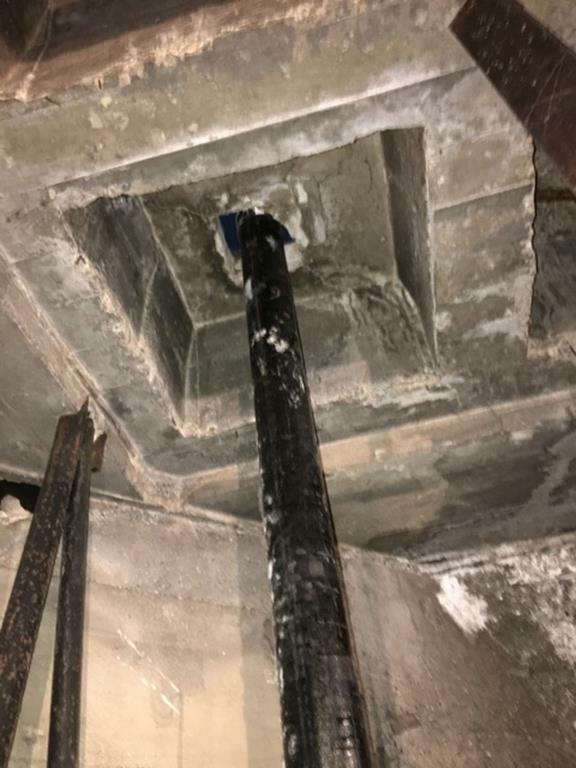 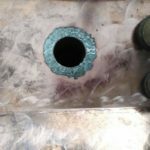 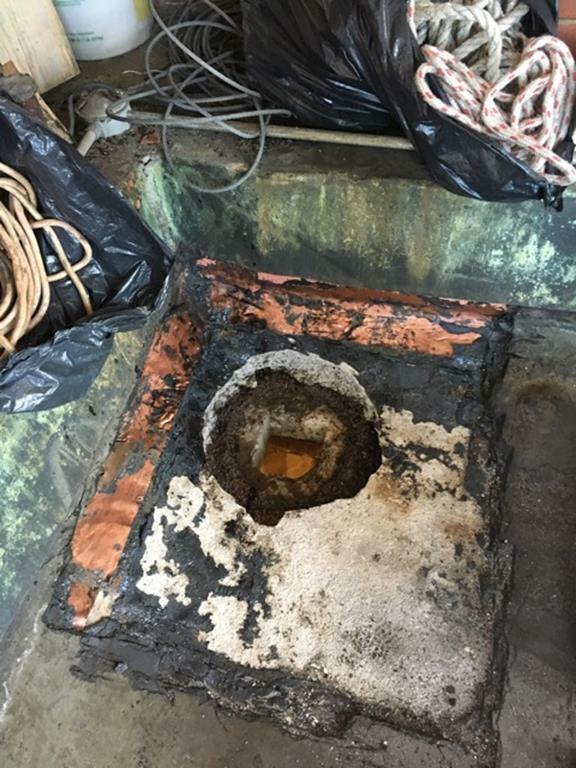 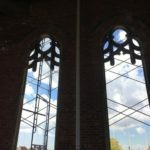 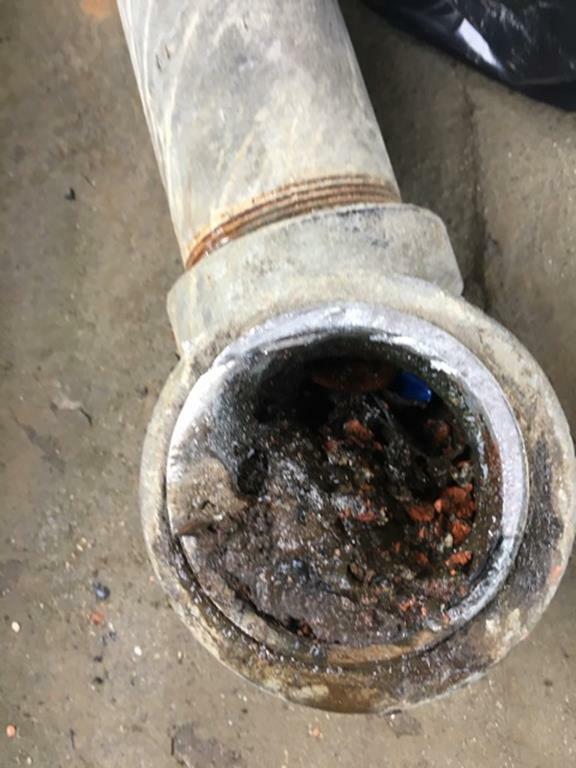 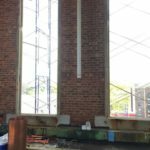 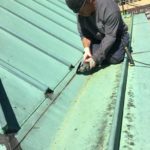 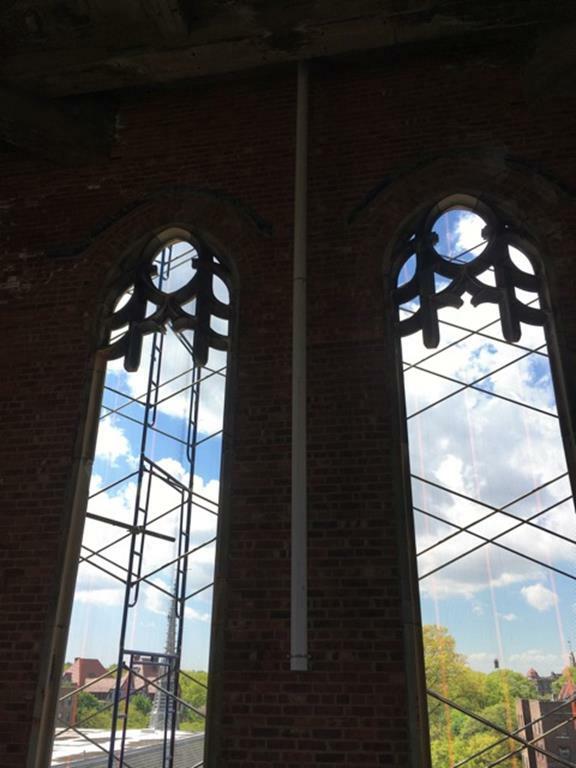 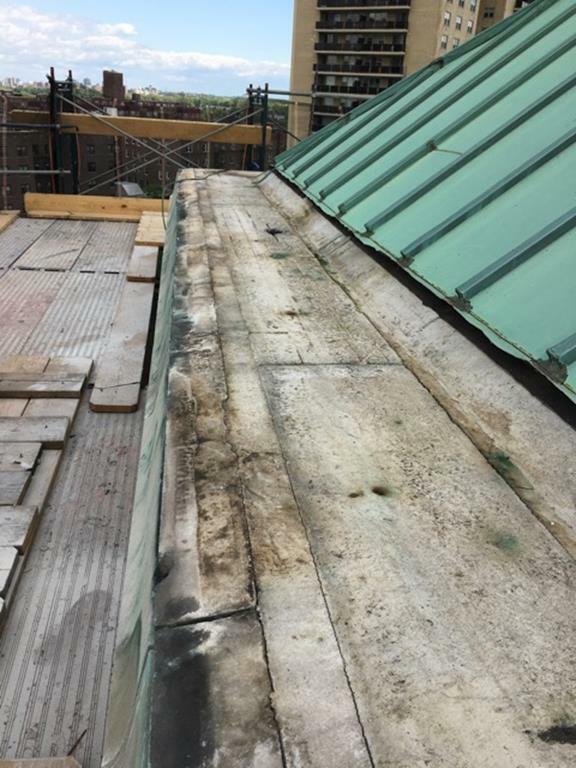 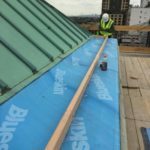 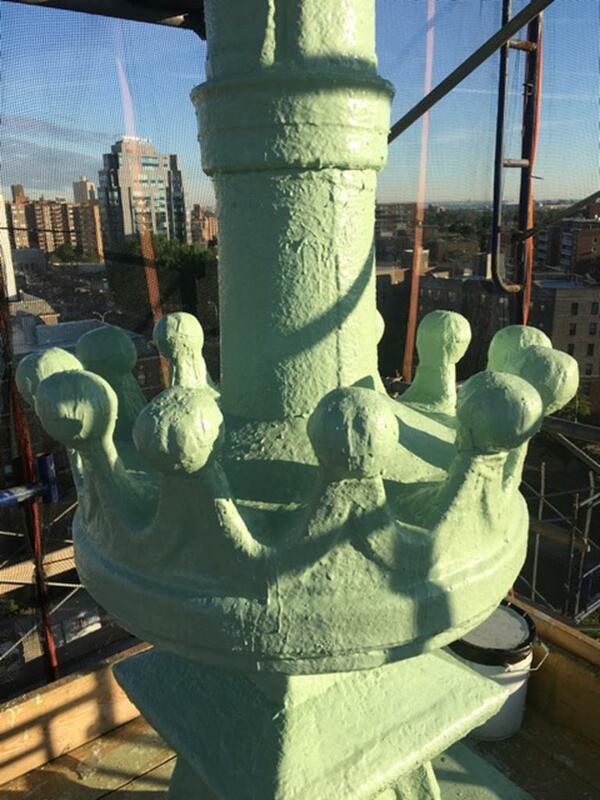 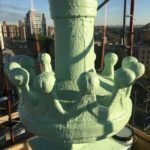 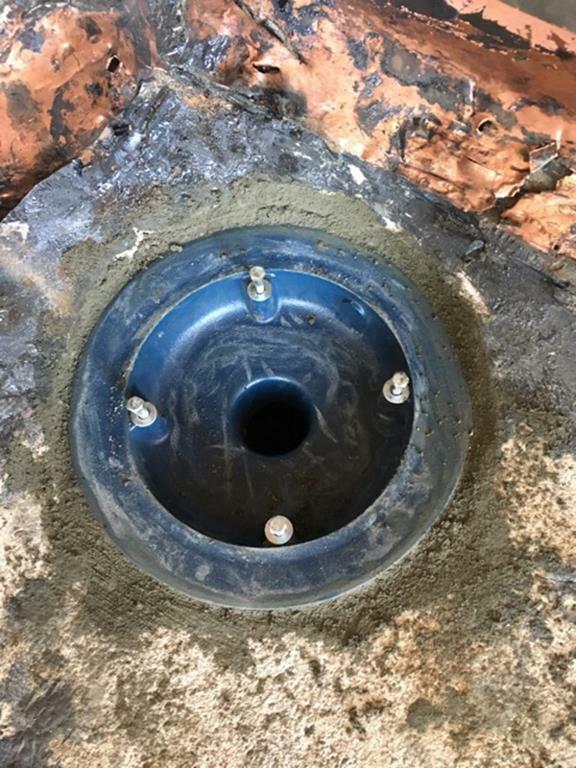 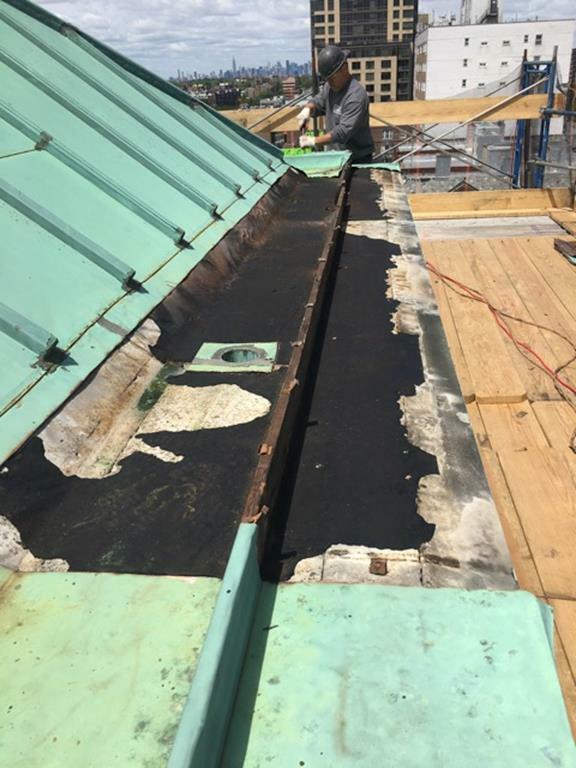 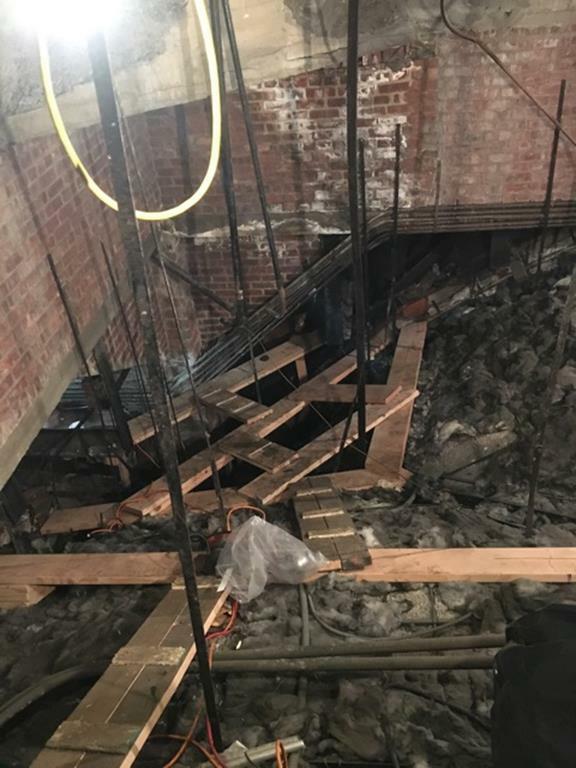 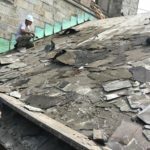 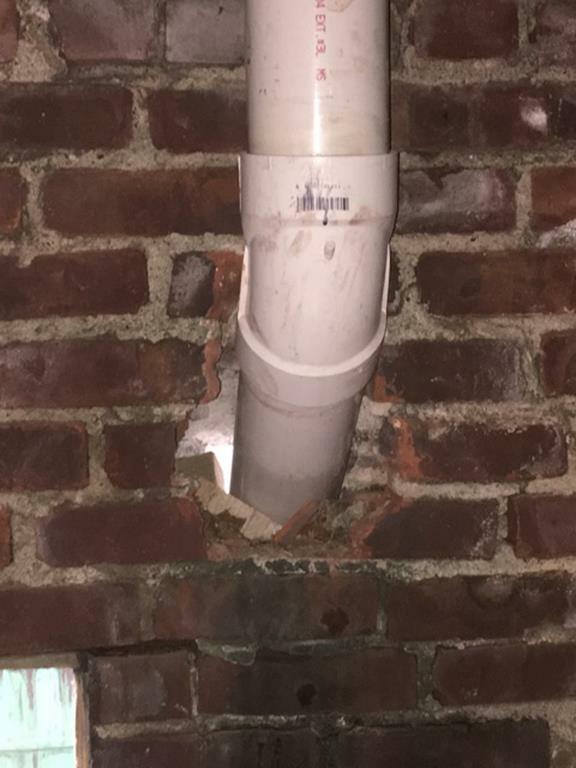 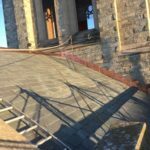 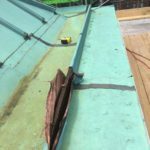 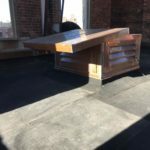 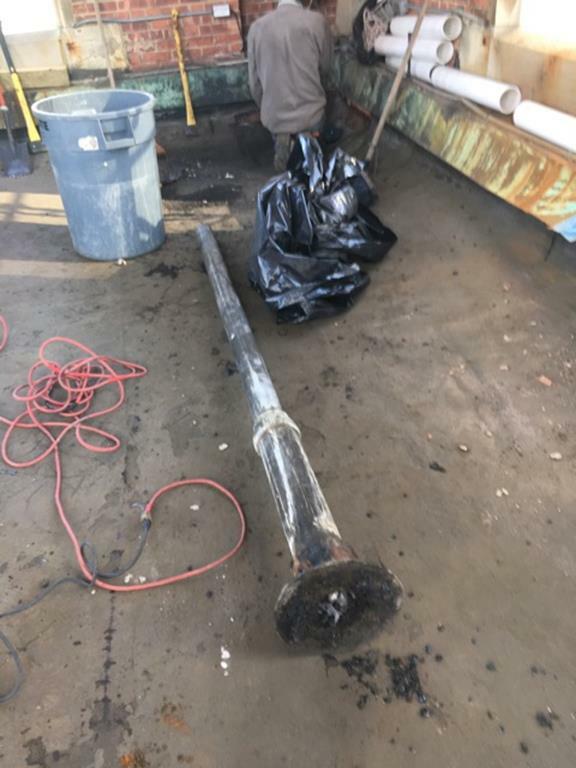 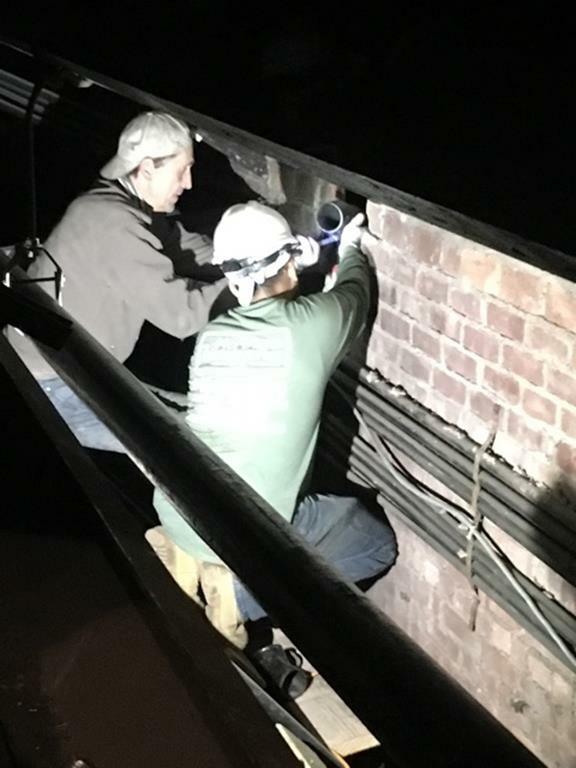 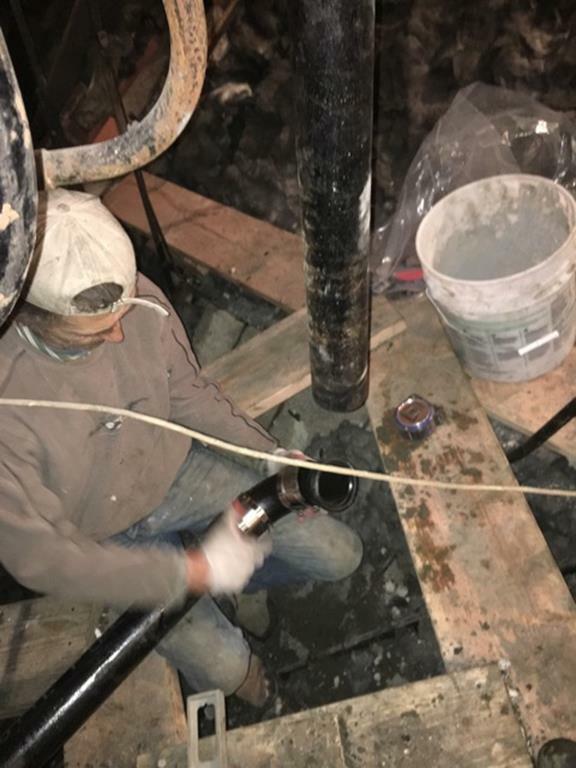 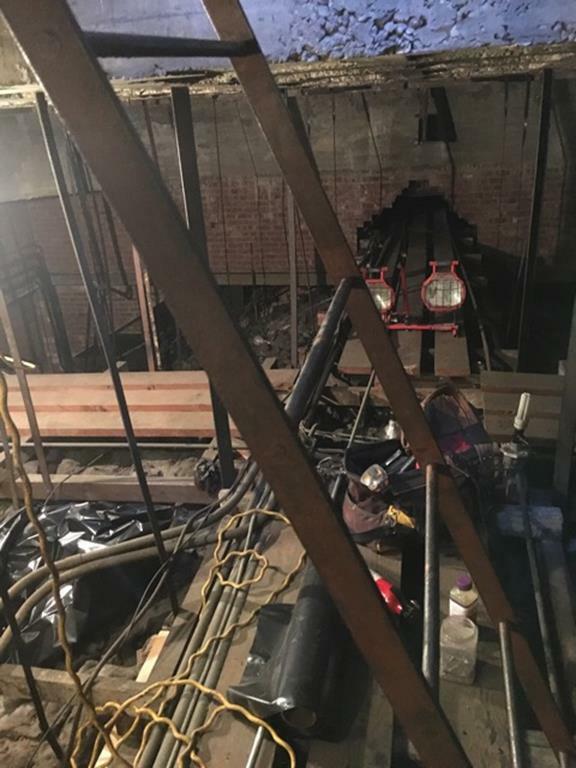 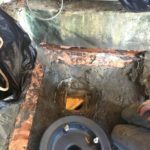 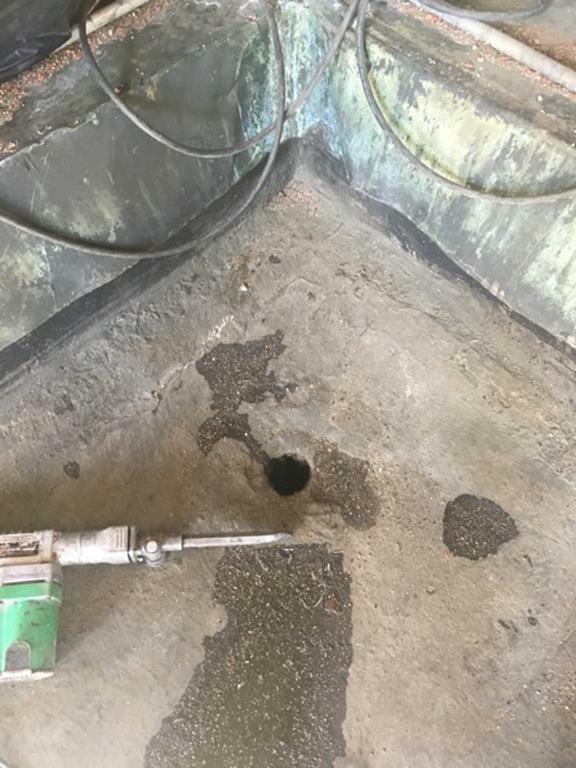 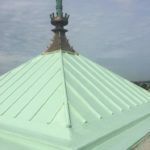 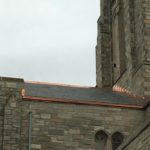 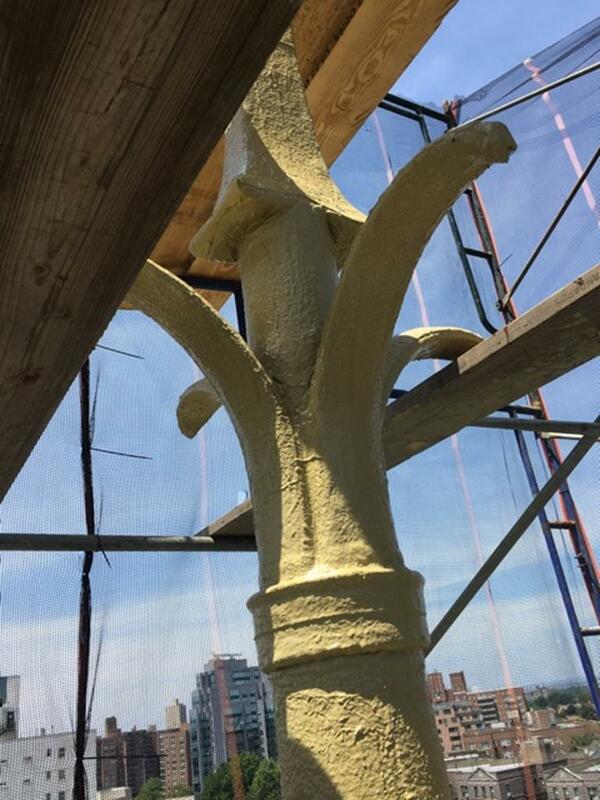 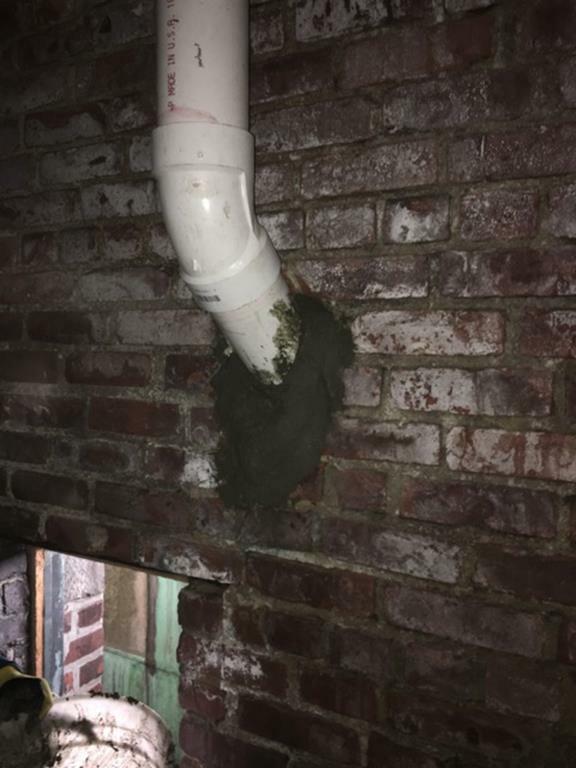 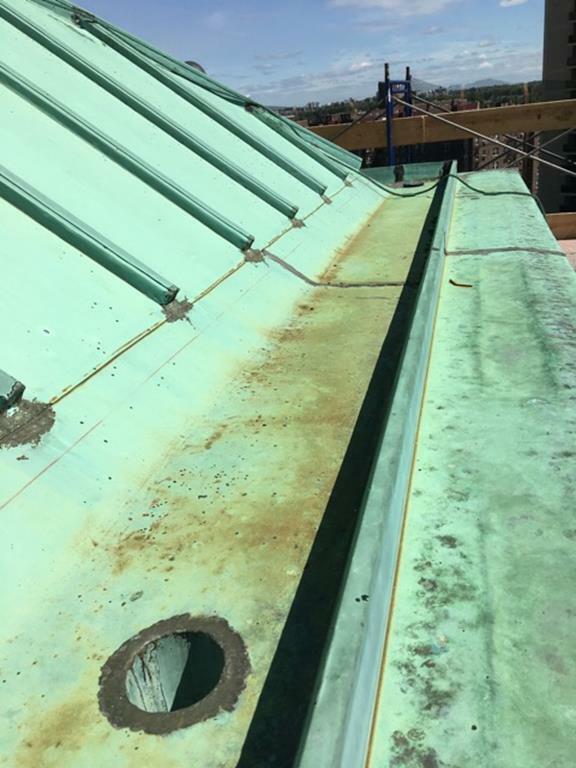 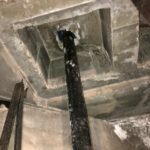 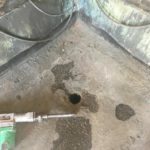 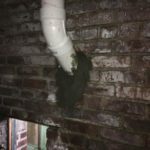 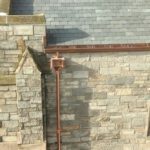 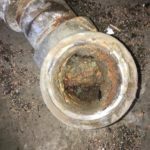 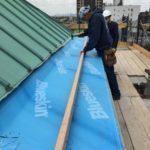 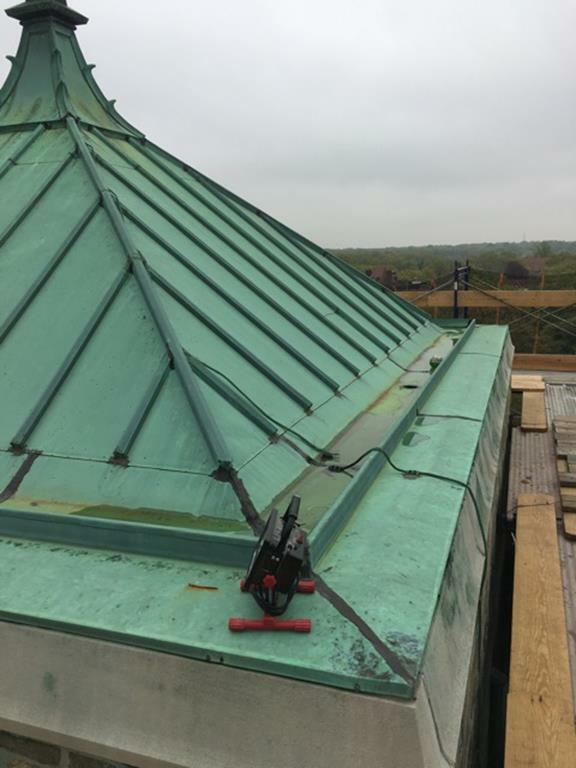 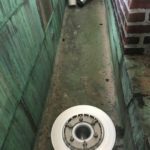 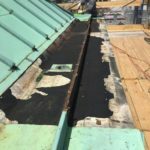 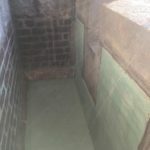 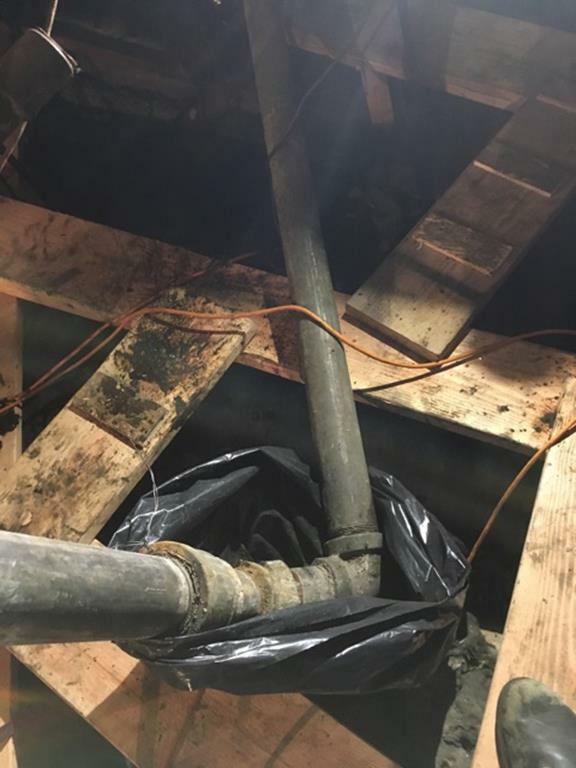 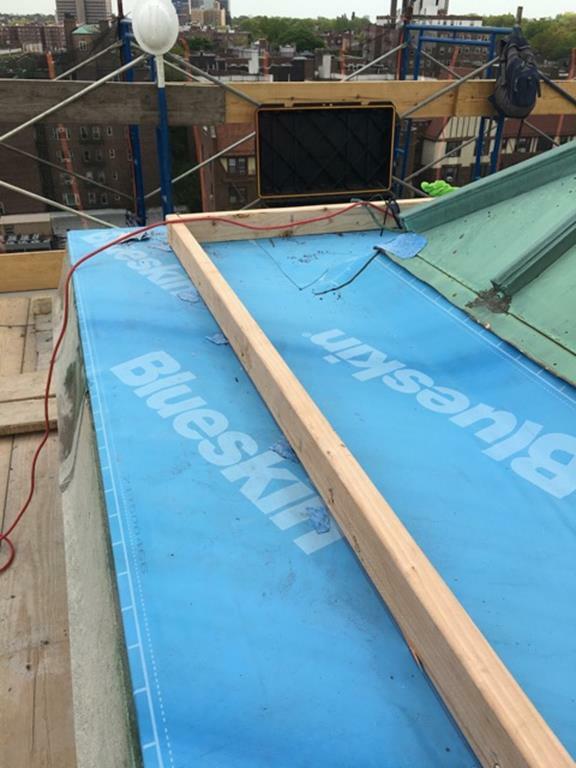 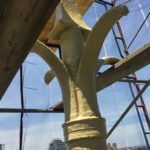 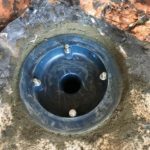 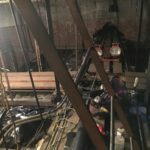 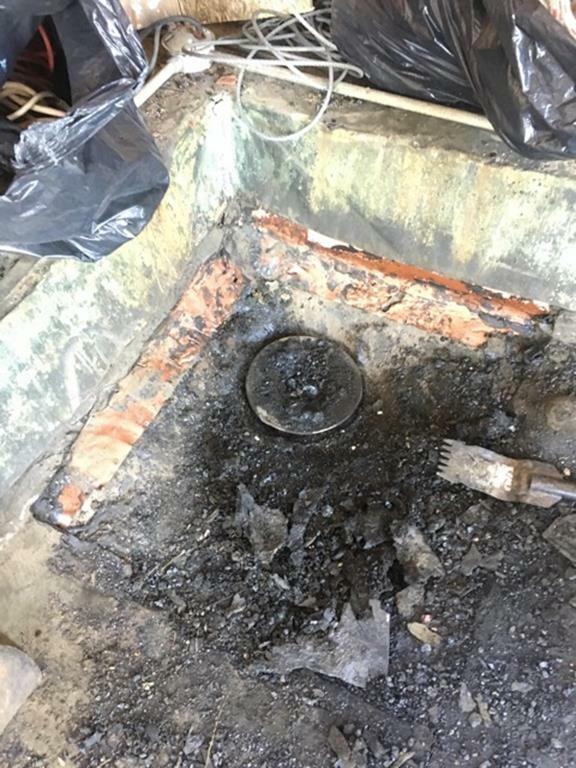 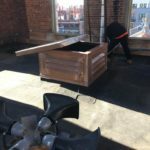 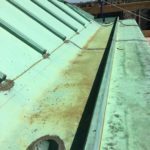 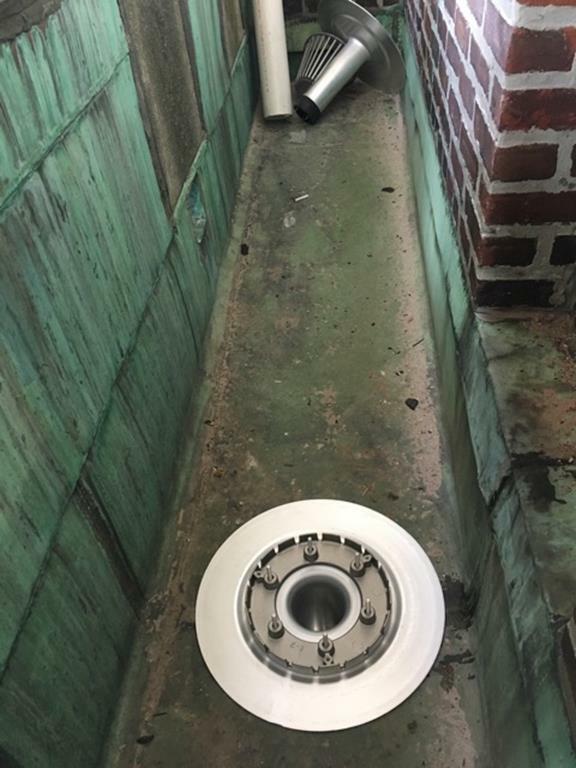 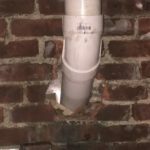 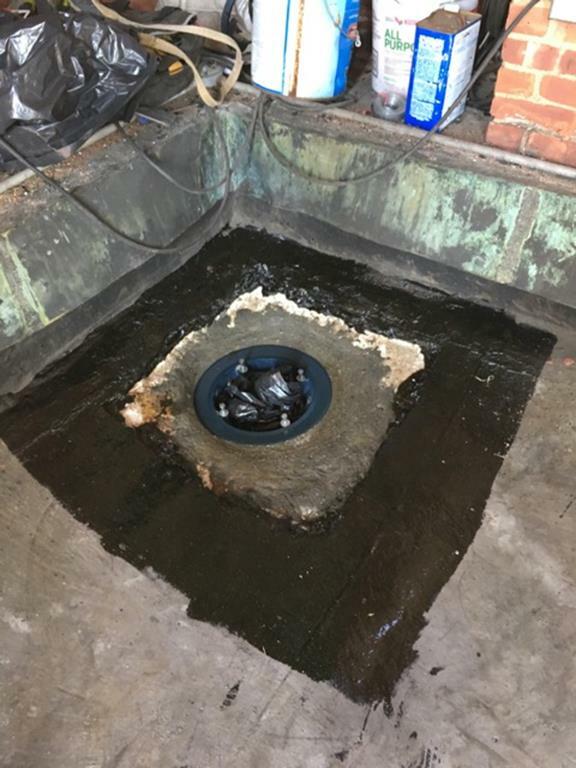 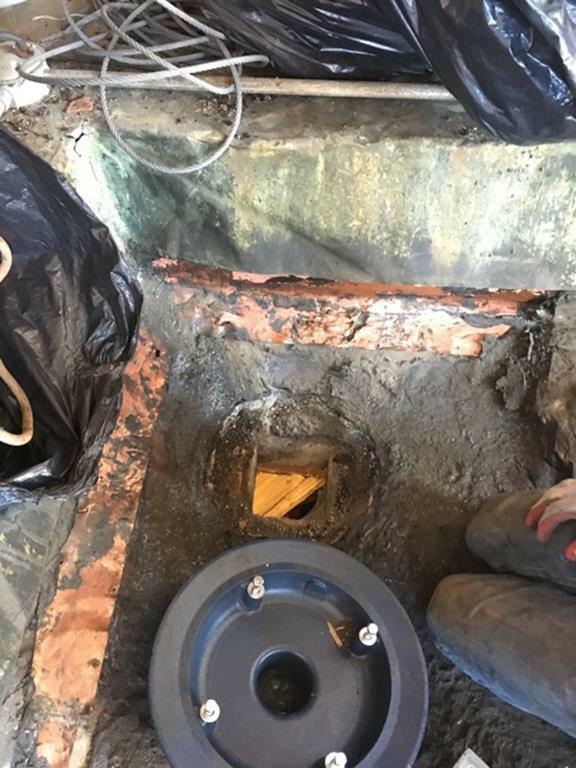 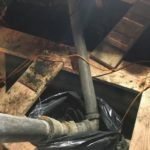 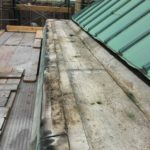 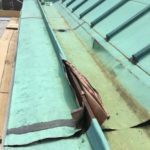 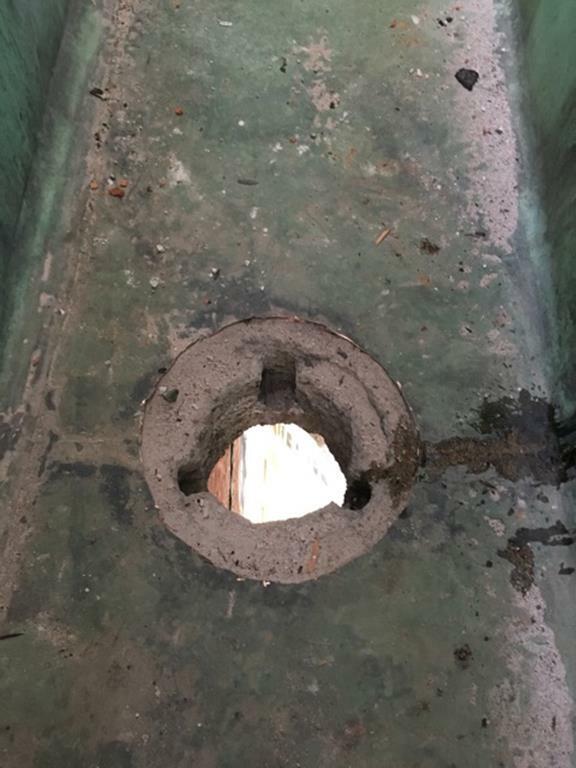 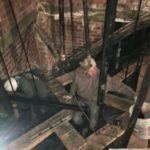 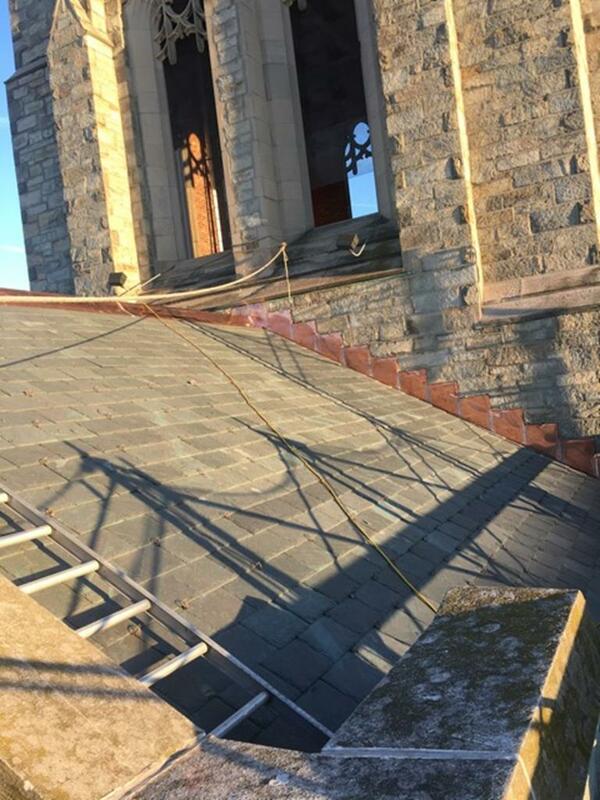 The roof’s original gutters and drainage works were no longer sufficient to prevent leaking and erosion of the masonry by rain and needed to be repaired to prevent further deterioration from water damage inside the bell tower. 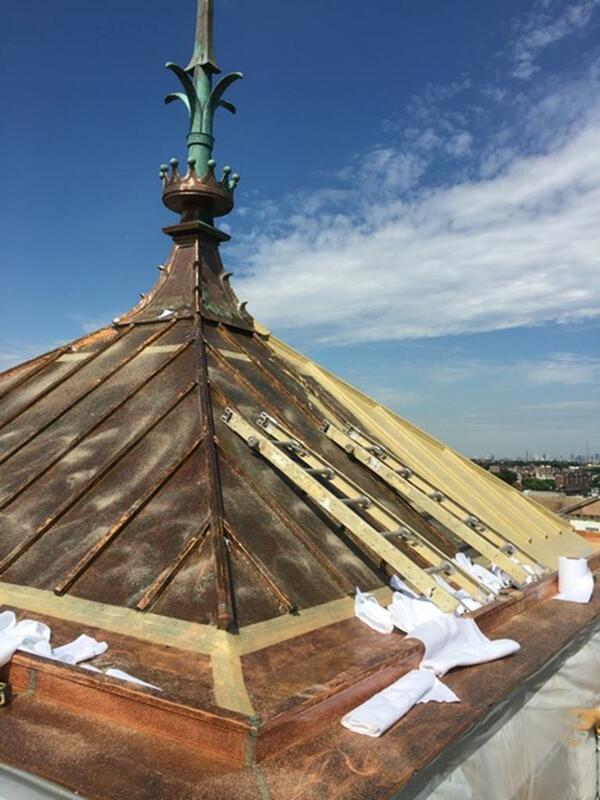 The project was begun in summer 2017 and completed in advance of Christmas. 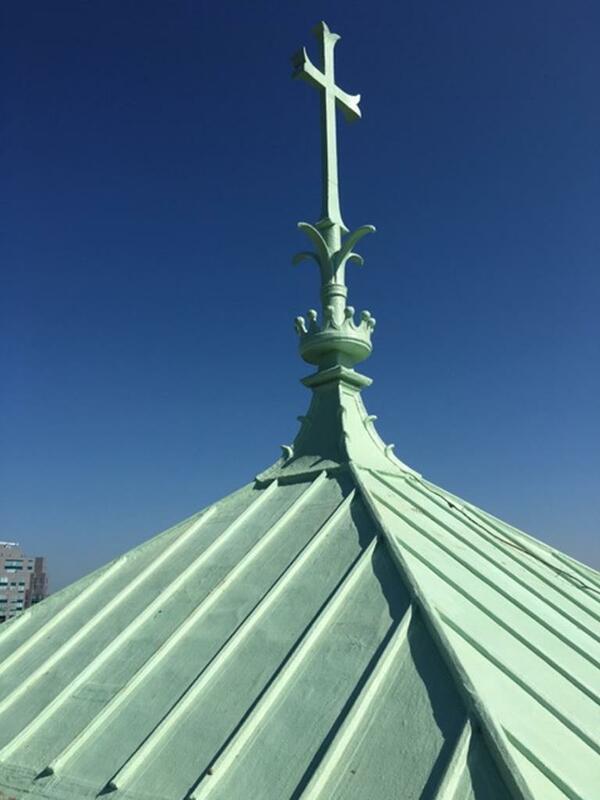 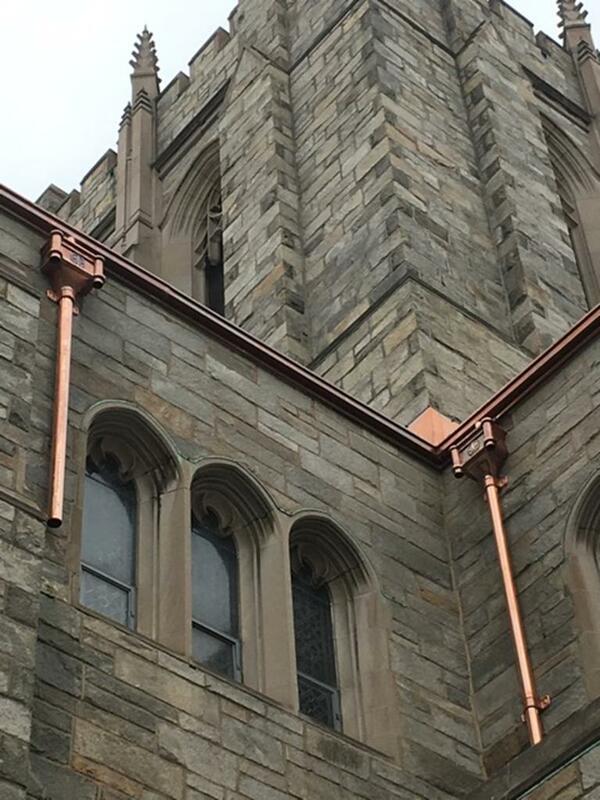 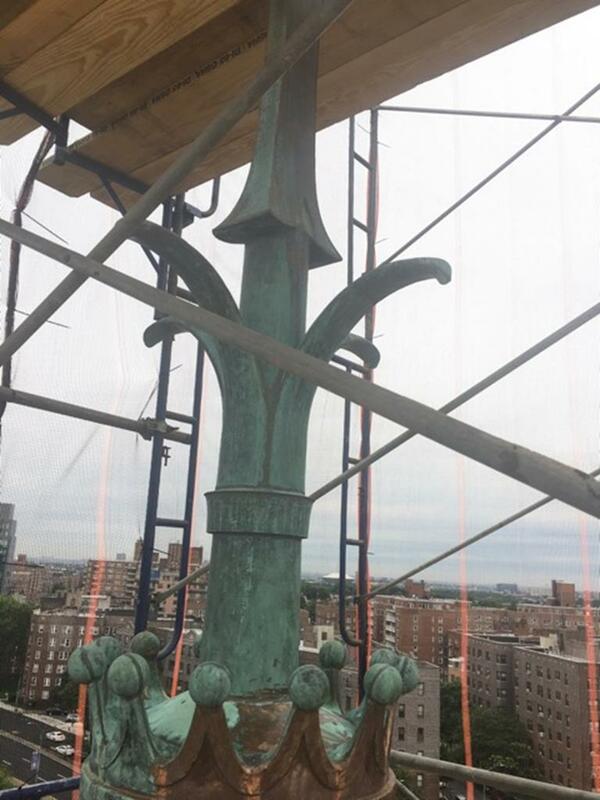 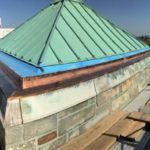 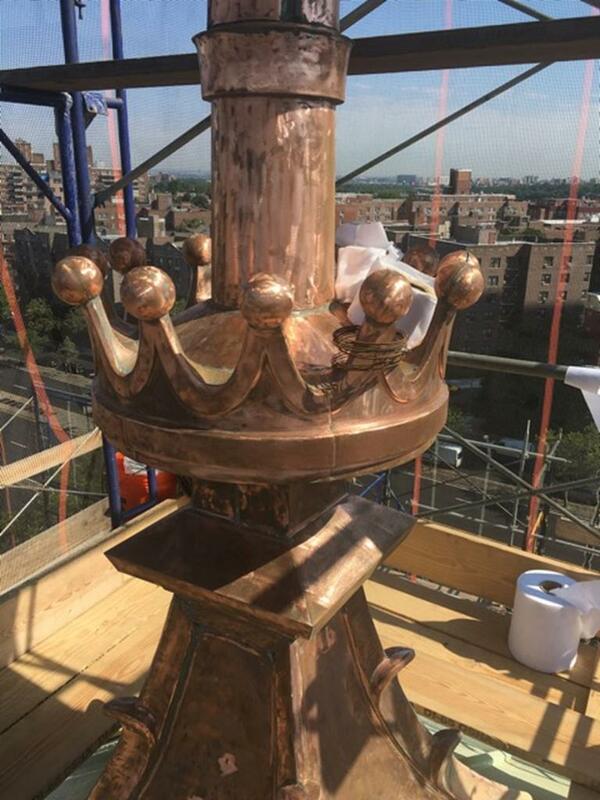 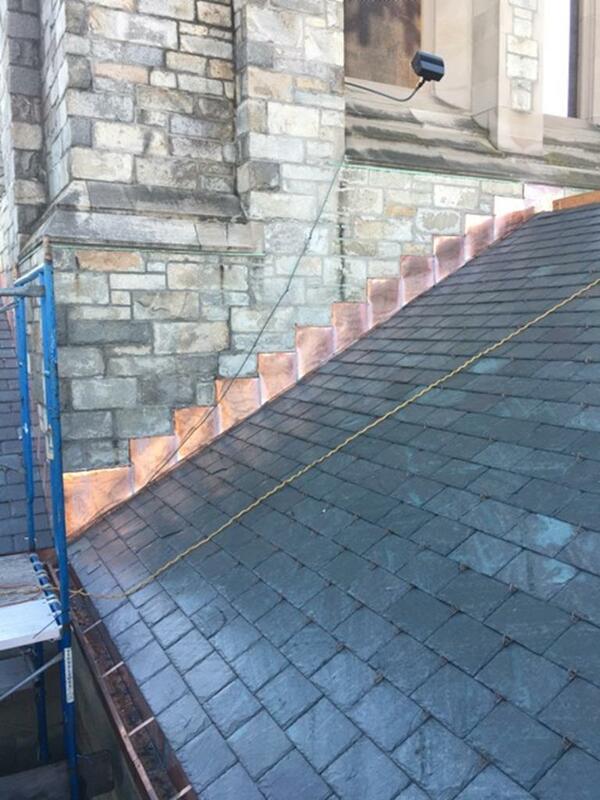 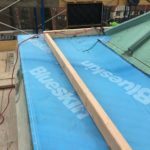 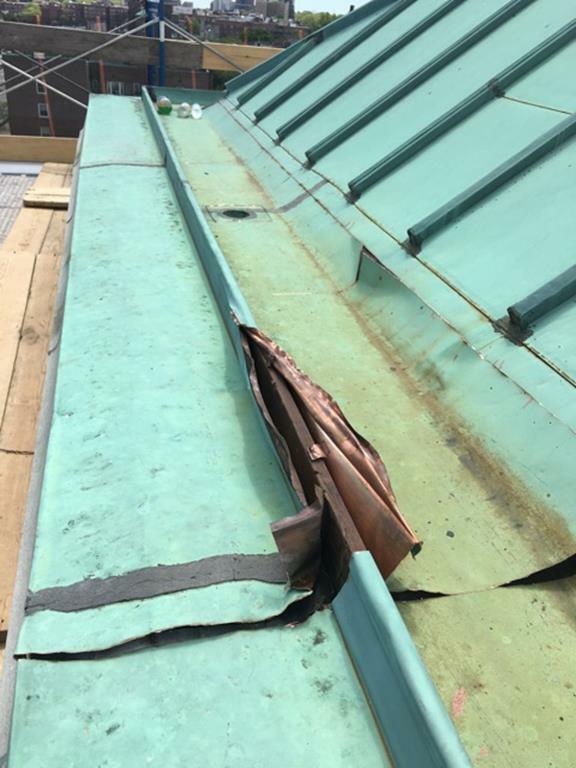 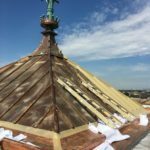 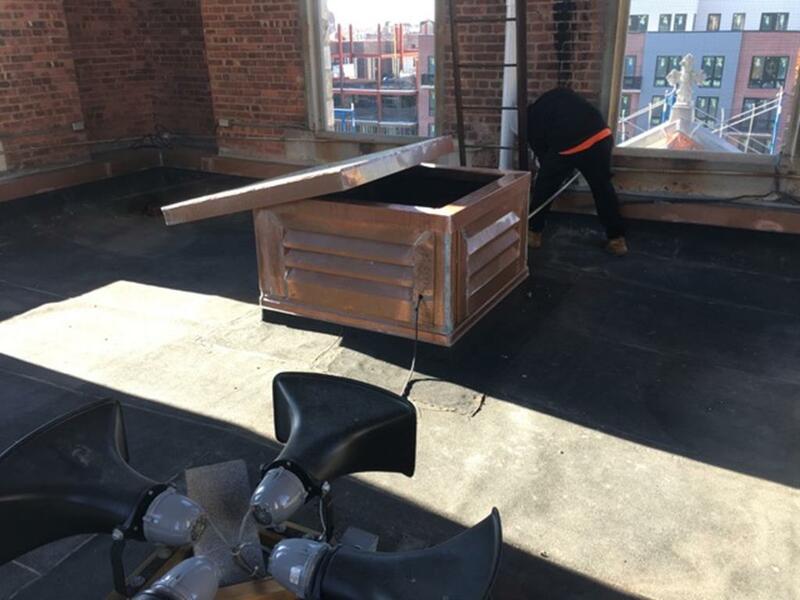 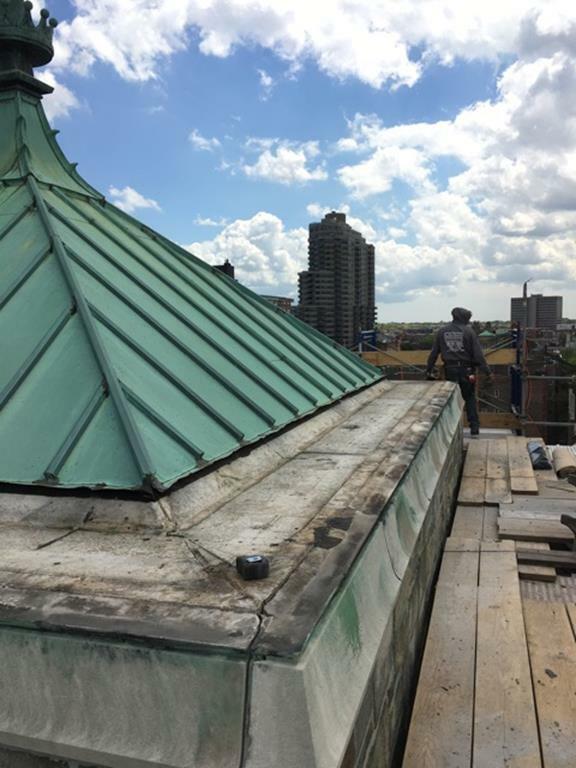 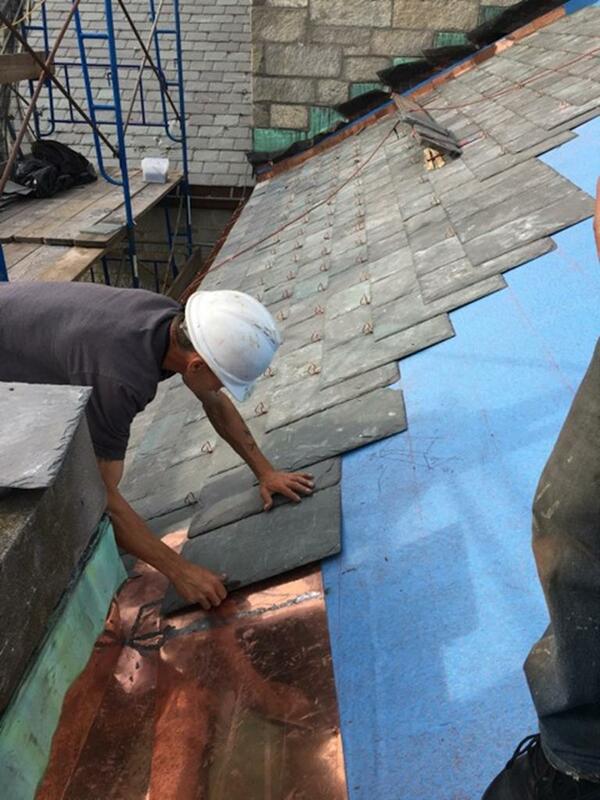 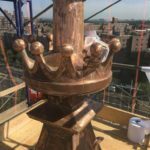 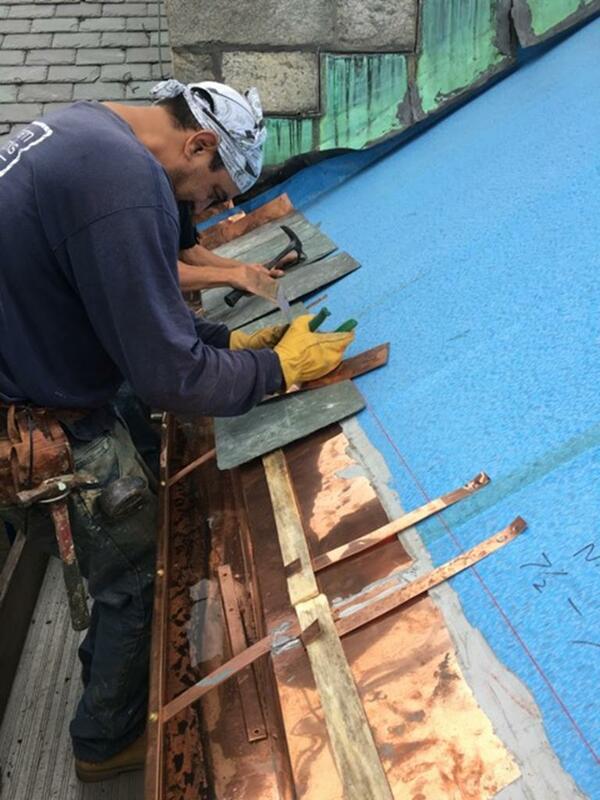 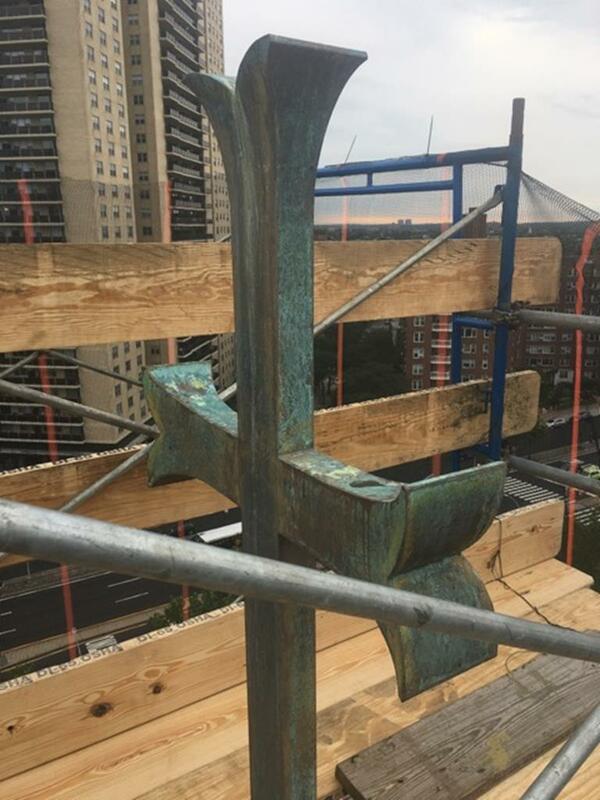 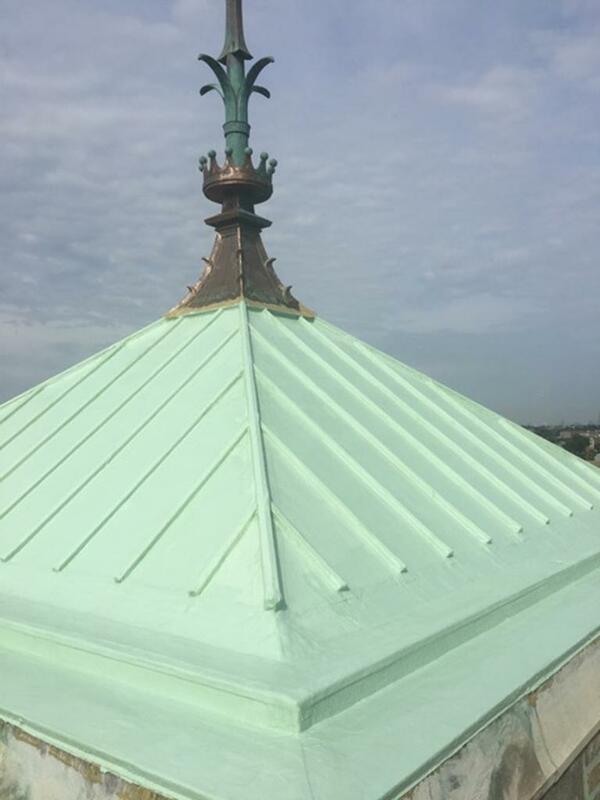 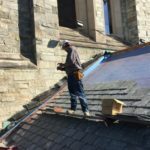 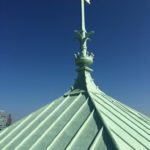 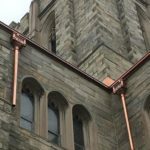 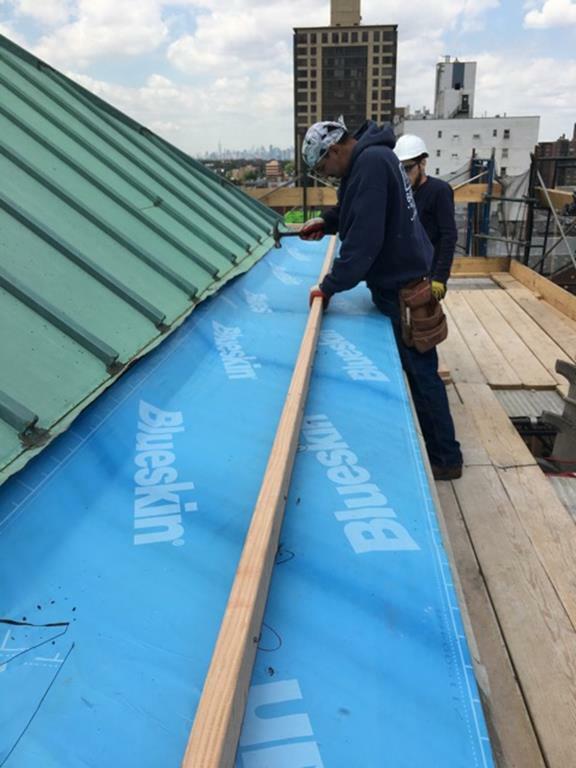 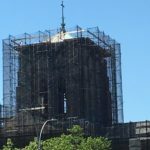 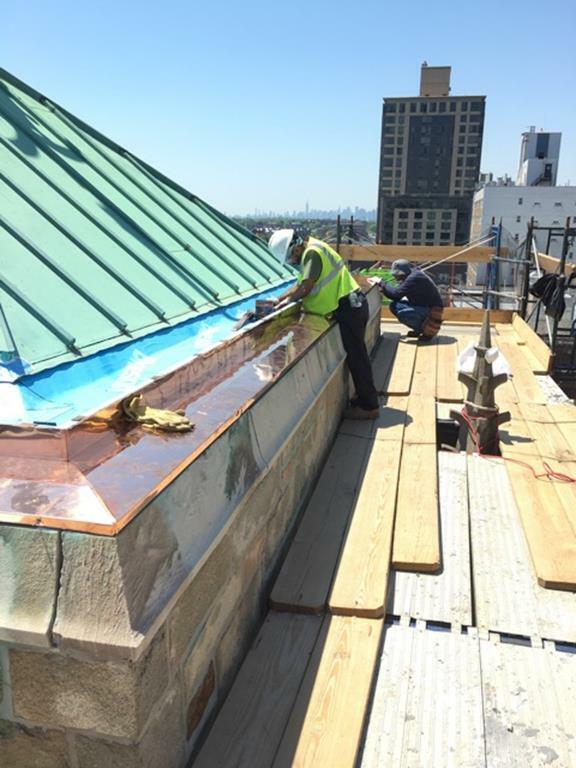 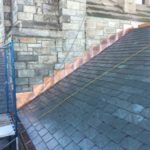 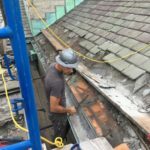 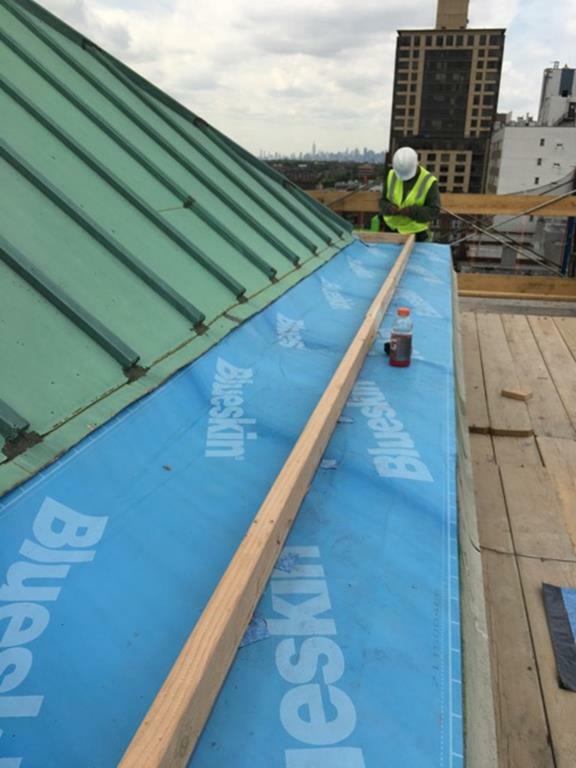 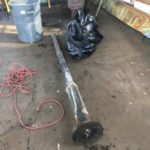 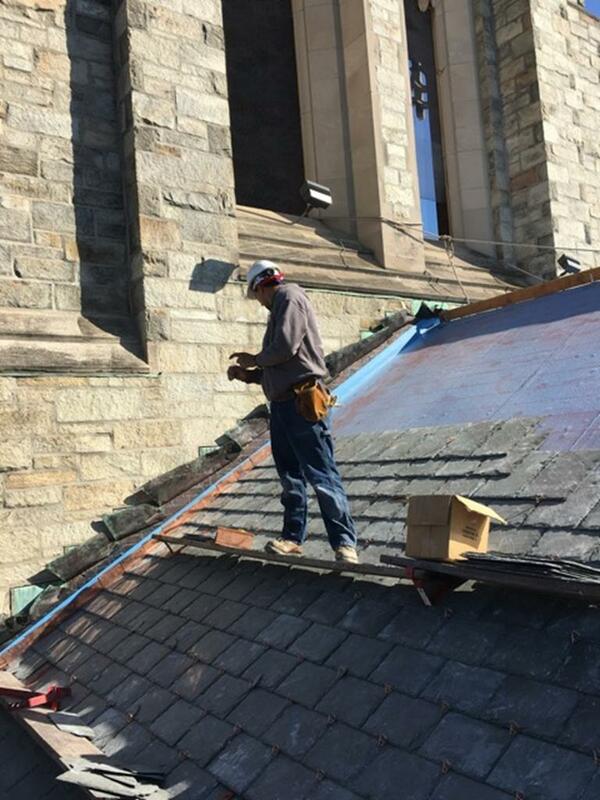 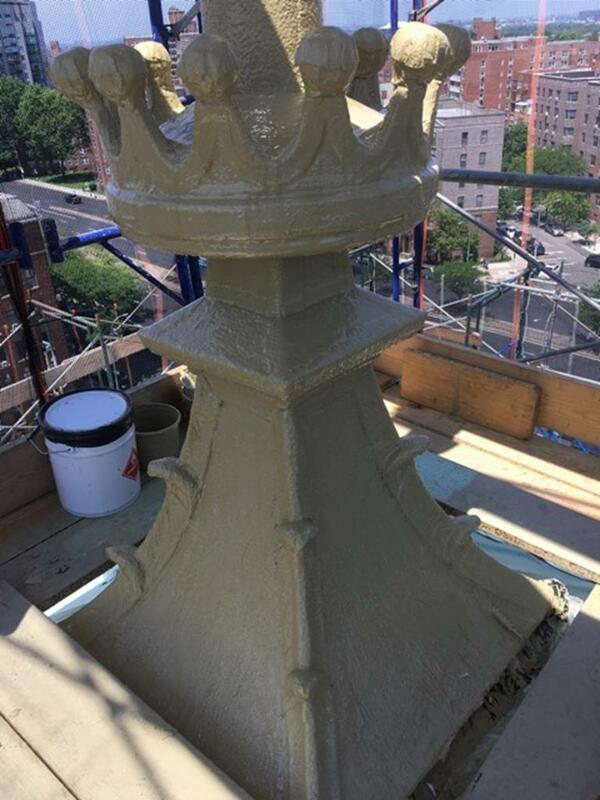 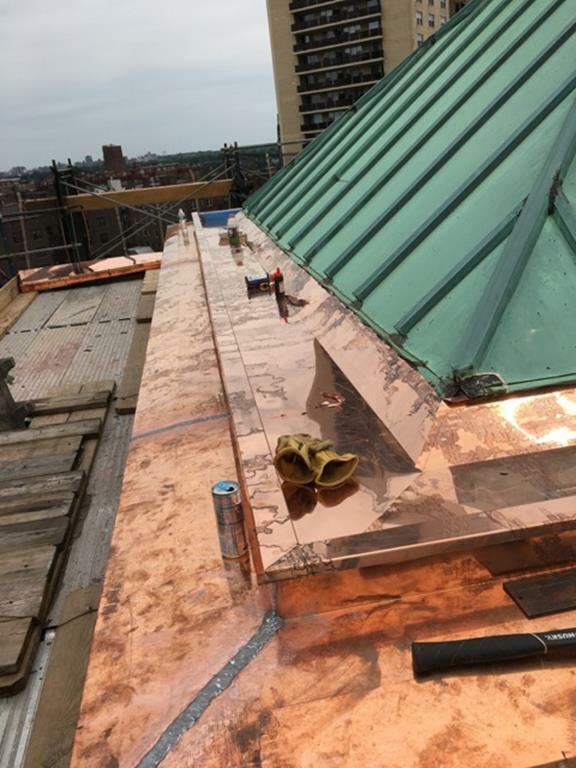 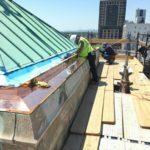 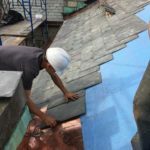 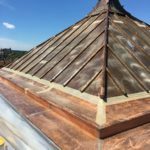 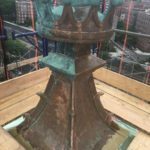 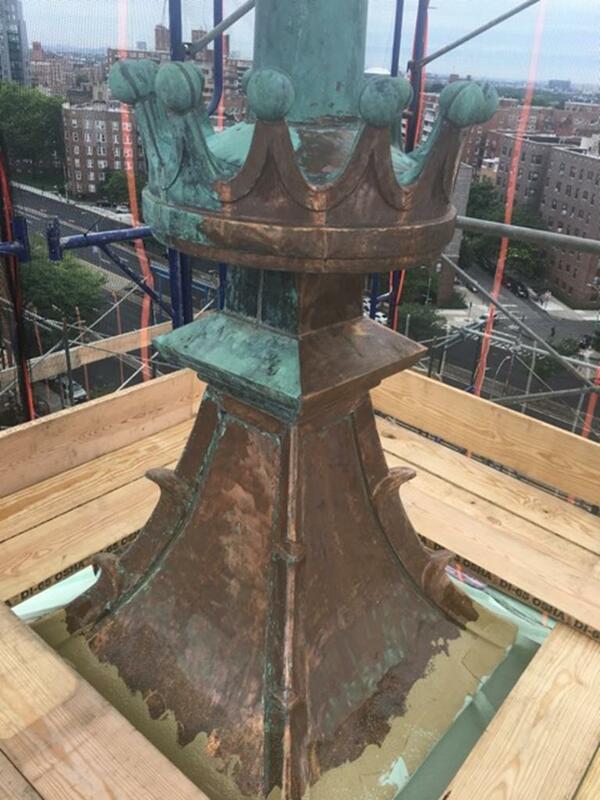 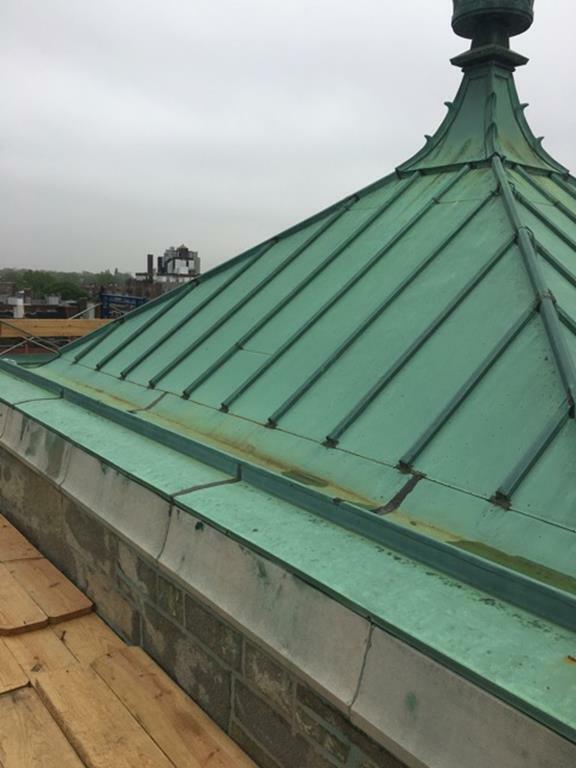 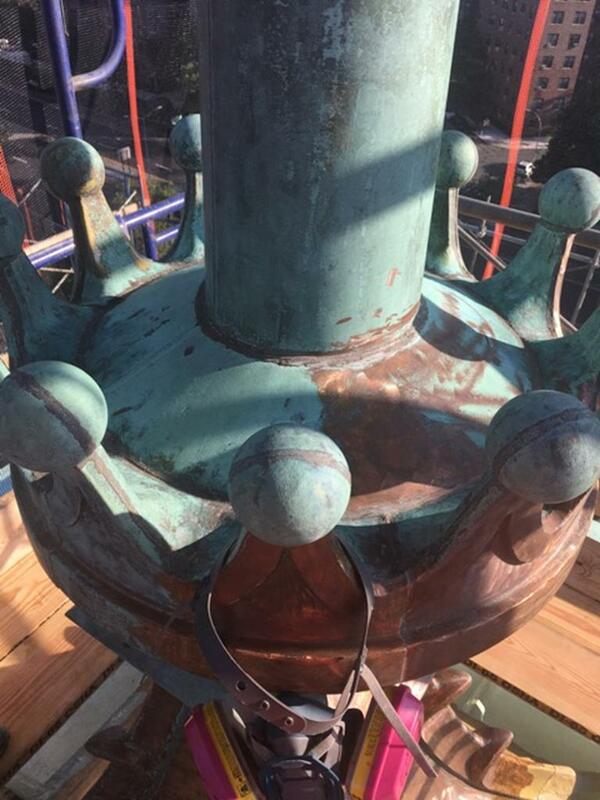 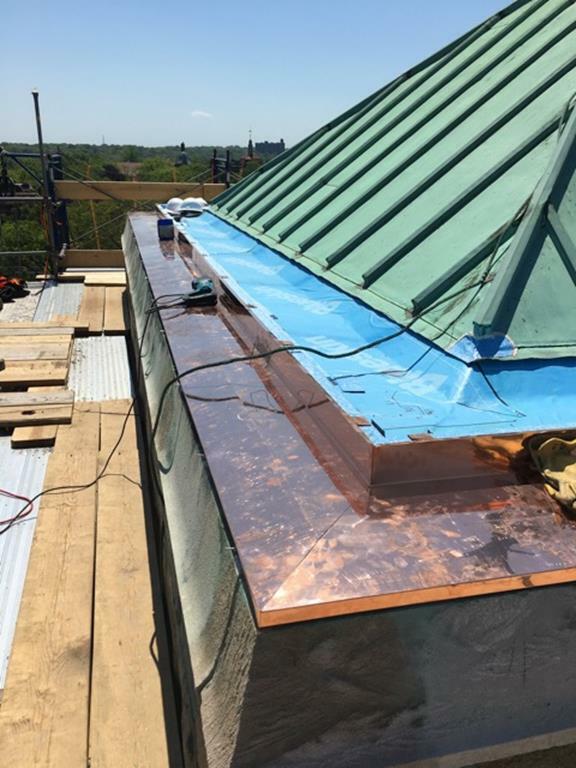 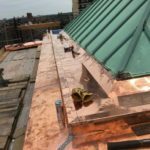 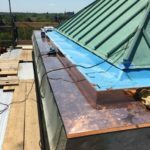 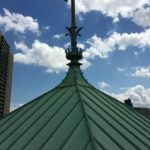 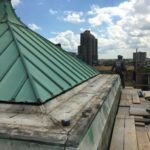 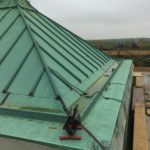 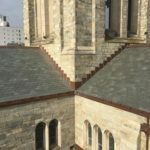 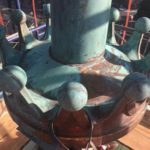 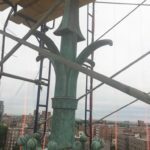 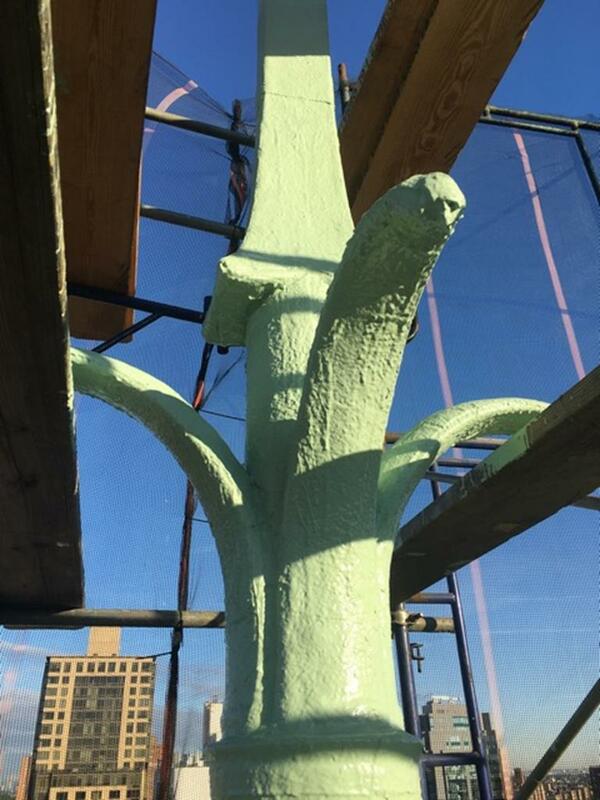 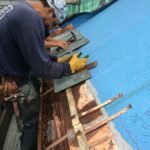 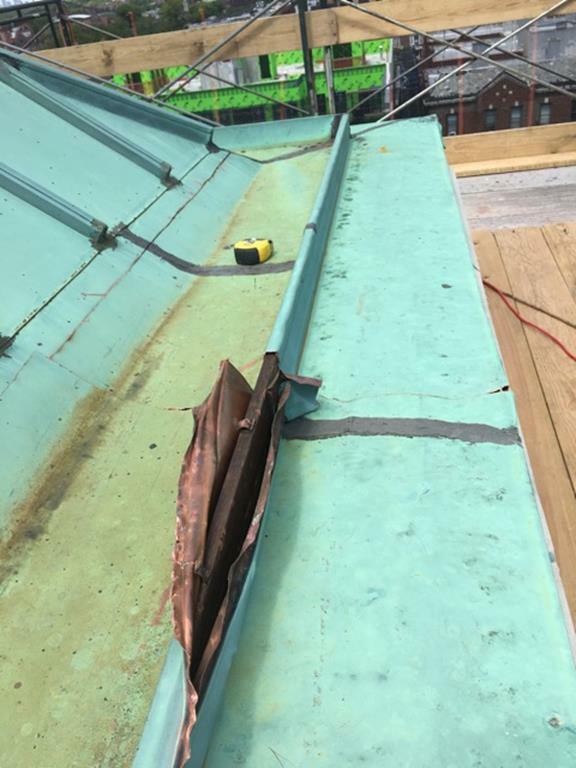 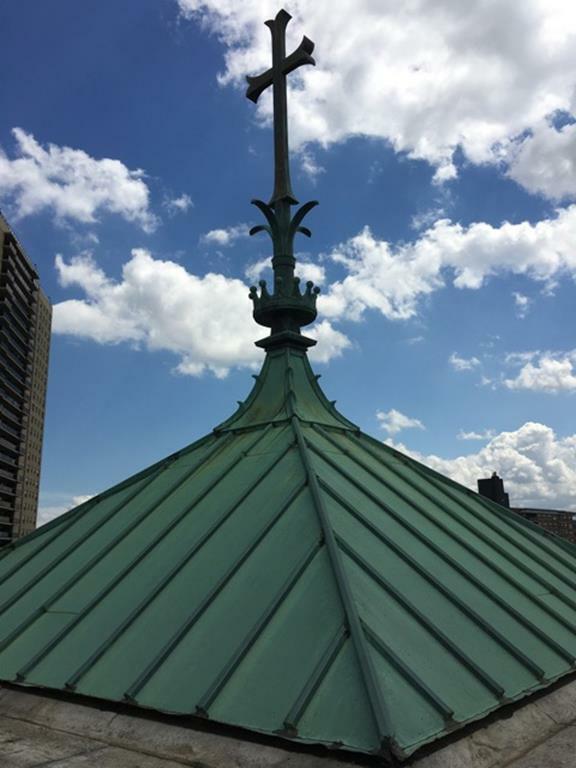 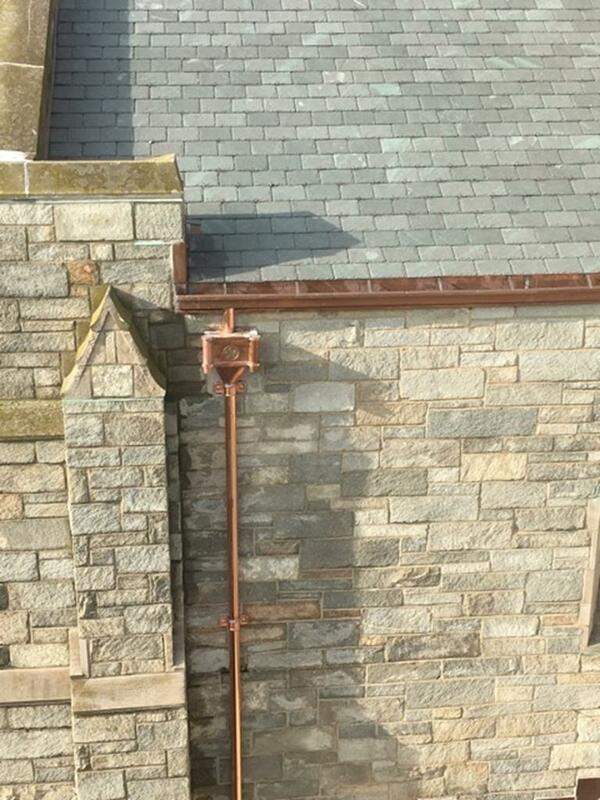 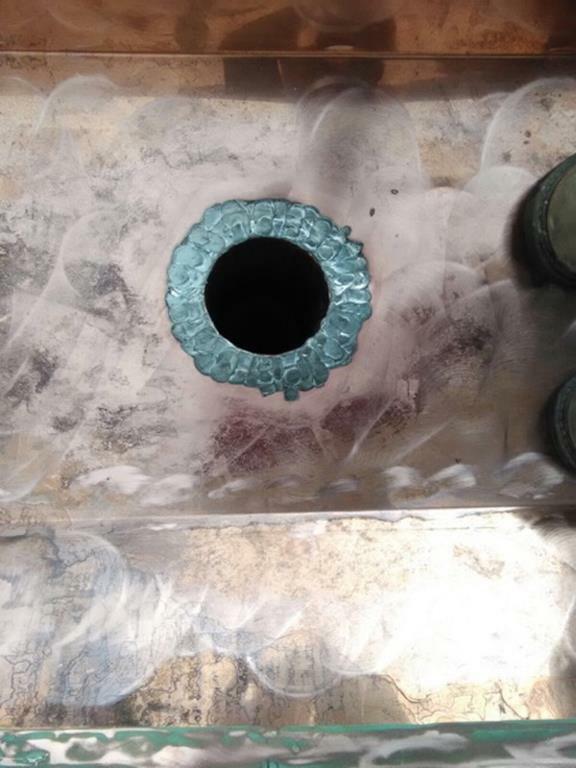 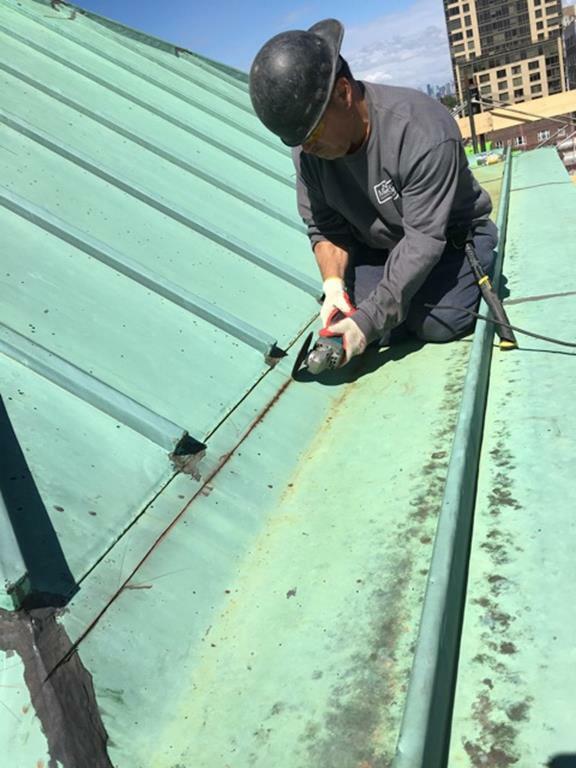 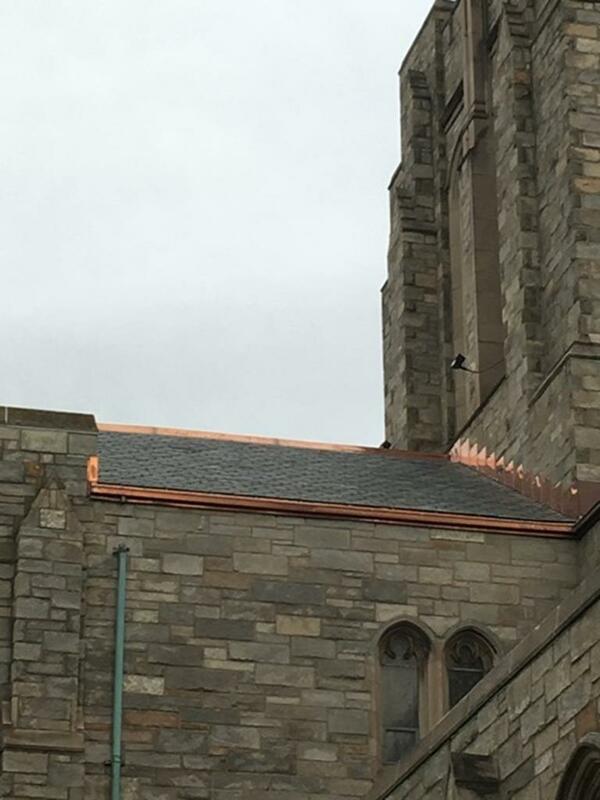 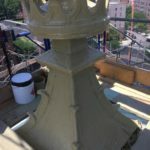 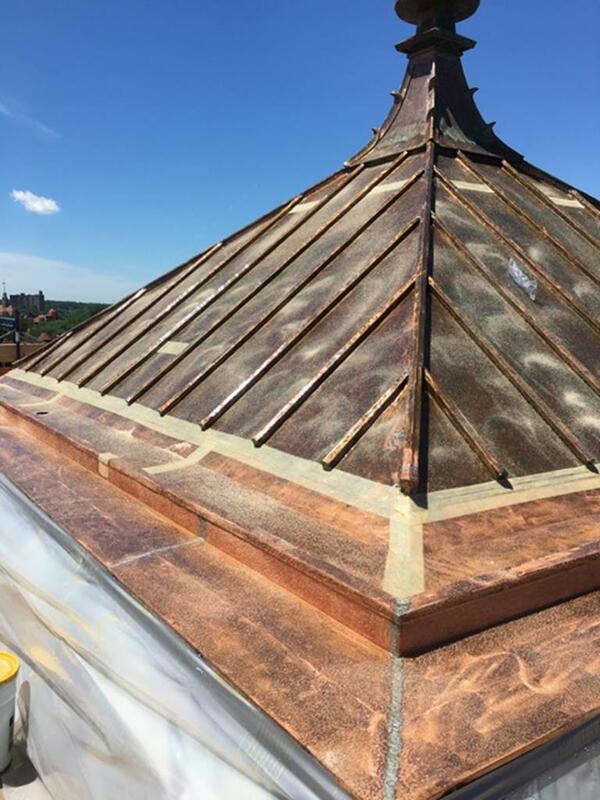 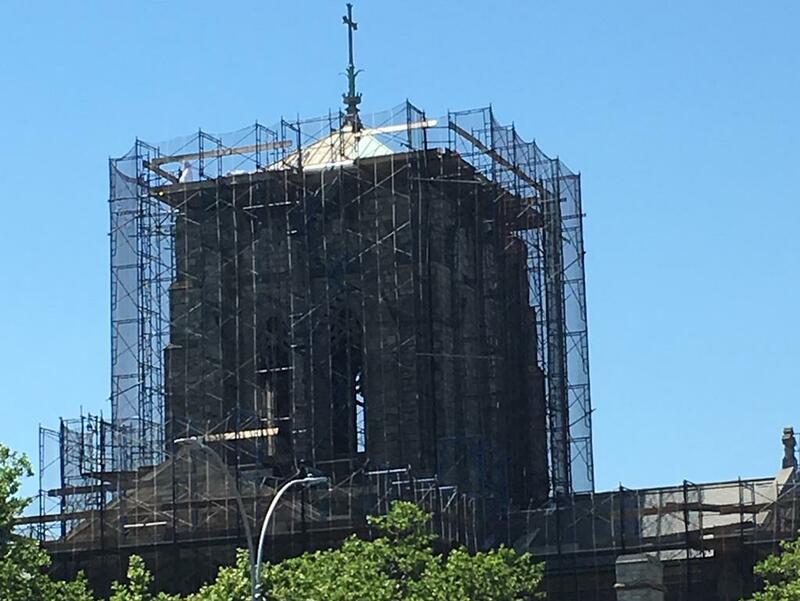 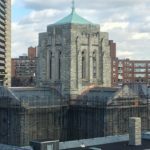 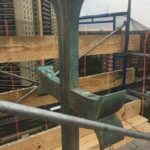 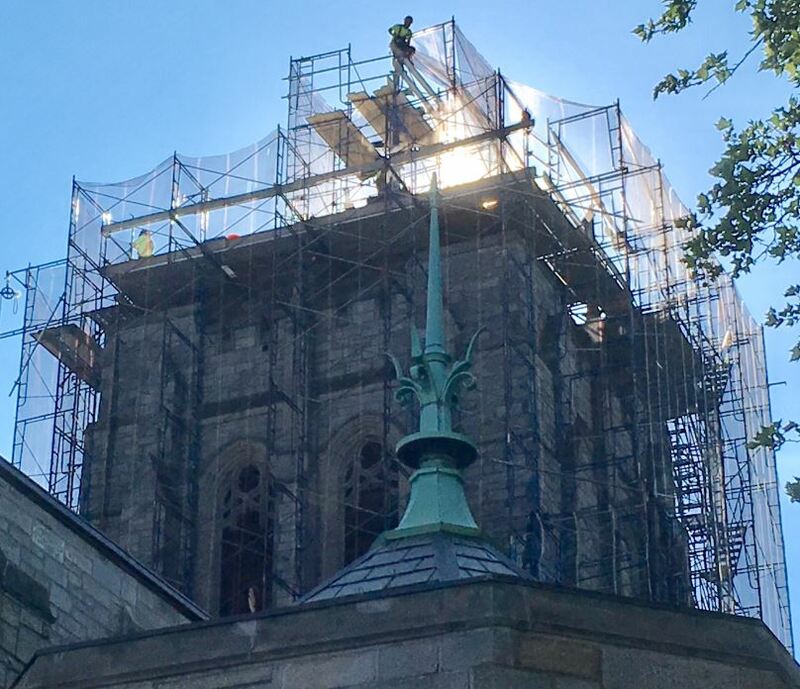 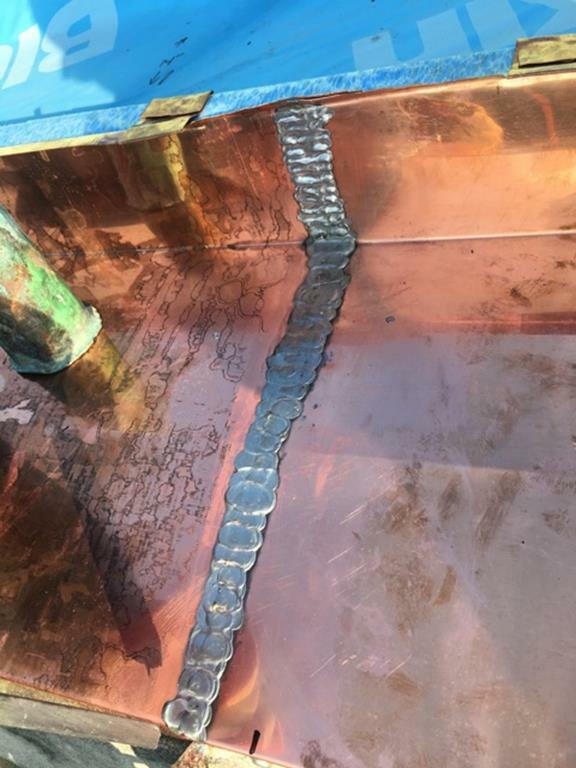 The work was documented in photos showing (1) the roof’s gutters before and after repairs; (2) replacement of drains and plumbing inside the bell tower; (3) the restored copper ornamental cross; (4) removal of old and installation of new slate tiles and copper flashing and downspouts.